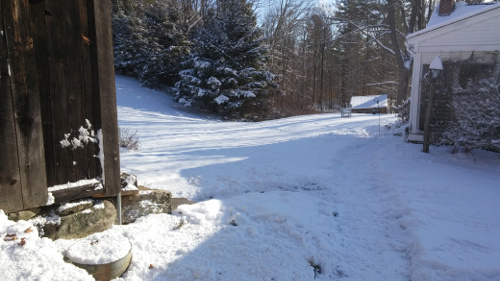 Sue headed out early New Year's Day to help her brother with work at their mom's house in Tamworth, NH. I manned the fort until she called around 4:00pm saying she was on the road back and needed a party. Earlier in the week she had bought some cod, so I suggested perhaps some sort of curried cod and shrimp meal for dinner. After running out to the store to get some additional items for dinner, I made a fire in the fireplace and started food prep work just as Sue was getting home. I lit the fire and opened a bottle of Kendall-Jackson Vintner's Reserve Chardonnay that my karate disciple Master Tim House and his wife Shodan Cindy House had brought us the night before when they came to dinner. 01/02/17: Star Wars: Rogue One, Baby! I don't care how old you are, these Star Wars movies are just really good entertainment. And this one was no different; just great fun. Not only was the mall parking lot jammed, but it took us 3 lights just to make the turn off of Gosling Road into the complex. I let Sue run into Michaels while I waited outside in the car. It wasn't too long before she came out frustrated that the checkout lines were so long that she just didn't feel like waiting. Great. 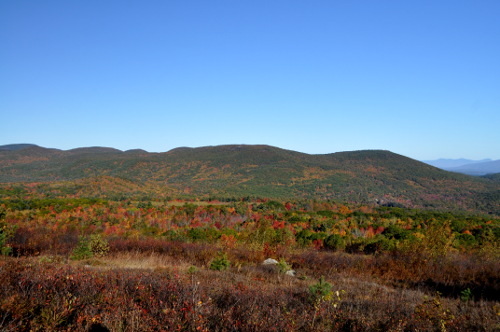 So we head off to Wagon Hill park, which is just off Route 4 on the way to Durham, NH, to take a short power walk. But as soon as I pulled the car onto the access road, all you could see was parked cars. People were everywhere! What a zoo! We didn't even stop. I just turned around, and we headed off to Barrington for the movie as it was now alreay 2:45pm and the show was at 3:30pm. Sue just had to do some walking, and so we did a very fast paced loop around the little plaza where the theater is located. Not enough, but enough to at least say we got some waling in for the day! After getting home and catching up on emails and 'stuff', we had a glass of wine, and spaghetti and meatballs while playing several sets of backgammon. Then it was just some lazy tv before turning in as Sue has an early call for work tomorrow. She's changing her schedual from 5 days to 3 very long days per week; it's going to be a cold and dark 5:00am rise for her tomorrow! I'm not getting a very good start to the backgammon battles in the new year here. Yesterday, I was down 4 points, and today all I could do after something like 12 games was come up 1 point to still be down 3 for the week so far. We play from Thursday to Wednesday as our week, and run cumulative scores for the week. We play about 3,000 games a year and it's nothing short of fierce competition. Well, since we started looking for a new home, we haven't had any backgammon dinner parties. I left off with the final party celebrating my 12th year living at The Garrison here in Dover, but that was it. We've had other gatherings, but not under that format. So, today: no party or celebration. However, it is the 7th year anniversary of having my hip replaced. That should be celebrated some way, so will have to think up something to compensate! So, I was out at the New Durham property all day today in the really freezing weather while managing septic and structural inspections. Other than myself, there was my agent Tom, the seller's agent, the septic inspector, my new renovation contractor, Steve, 2 electricians, two plumbers, and my friend Todd Tucker from Tucker Pest Control. Did I mention how cold it was? Yeah.... it was really cold. Today wasn't as long at the property as yesterday as we only had chimney and flue inspections going on. It was still cold, but not as cold as yesterday. My 30 plus year disciple and Master in his own right, Master Tim House, and I met for a working dinner Wednesday night in Newington at Ruby Tuesday's. These dinners are really where the work gets done; setting goals and managing training not only for ourselves but for our students. 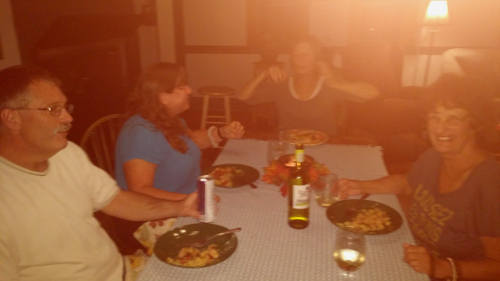 A little wine, some good food, and great conversation! Can't beat it. 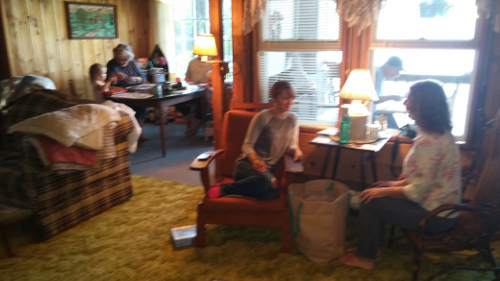 From Tamworth, we drove over to Sue's niece's house in Ossipee to celebrate her 2 grand niece’s 18th and 14th birthdays. Sue had found a trundle day bed advertised that we thought would be handy at the new house. 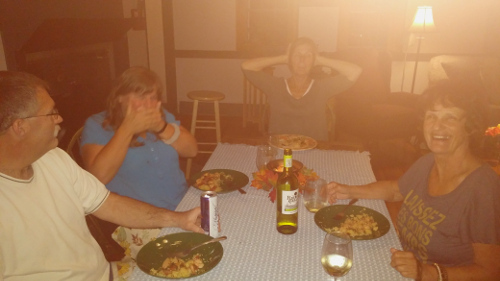 We drove up and met Colin at his house, and used a truck from a friend of his to go over to Newmarket, NH to get it. Since we don't have a place to store it and the house won't be ready for a month or so, Colin and Ren said they'd be happy to keep it for us. We had a nice visit with them, but had to head out around noon. We went back to the house, finished the shopping list, and while Sue went down to Newington to run some errands, I went food shopping. Fortunately, the store wasn't too crowded. I got back just after 2:30, cleaned up a little, built a fire in the fireplace, put some music on, and started food prep work for our dinner party later that evening. We had invited my black belt student Eleanne and her husband Michael over for dinner. It was a celebratory dinner for Michael who had recently lost his job; you just can't take that sort of thing seriously. Besides, I figured they would enjoy having my mom's recipe for ox tails in wine. Now, I'm not an exotic foodie, but my mom just made the most terrific meal with these. You flour and then brown them up in a huge pot. To that, you add in garlic, a couple of onions, and some herbs, and cook until the onions are starting to soften. Because I was fixing 8 servings, I added 3 cans of tomato paste, 4 cups of organic beef broth, a bottle of nice Cabernet Savigon, some sugar, and some balsamic wine vinegar. And after 3 hours of simmering, it was spectacular! I also fixed a huge batch of green beans, sweet red pepper, shallots, garlic, some Wochester sauce, sherry, and mushrooms. Sue did the mashed potatoes and made a terrific lemon and ricotta cream chese desert that you would just die for. 01/22/17: Mia At Disney World! Here's a terrific picture of my granddaughter Mia at Disney World 01/22/17 with her dad Gary and my daughter Marissa! And here she is all strapped in and ready to go again the next day! Obviously having way too much fun! Food wipe out! Were it not for the fact that the beams in the original dining room had been stained over 30 years ago, I would have loved to have kept the rough hewn look of the wood. But the contrast between the stained beams and the newly exposed beams just seamed awkward. It was a good day to do inside work; really bitter out. In fact, it spit snow a little bit while we were up there! It took both of us 3 hours, but when done you could hardly tell the difference between the originally stained beams from over 30 years before to what we did. Not perfect, but at least it provides better continuity to the room. Sue and I decided we'd have to celebrate our beam staining success with a nice dinner and fire. We had a Home Depot trip to make to pick out carriage lamps to hang on each side of the front door in New Durham, and so ended that off with food shopping for the week. To start the evening off after I had built a fire in the fireplace was to pick out another bottle of wine from my parents that I had saved way too long. My dad became quite the wine connoisseur after retiring, and would lay down bottles of the year's top wines. I had thus inherited a couple of cases when they passed. Unfortunately, this one was bad as well. Not only is it really difficult to keep any wine a long time (20 years is about max), but when you don't have those really ideal storing temperatures to keep it cool, it's just certain that the wine will go bad. An expensive "bad" at an estimated retail price of $125.... Note in the upper right hand corner is "5.30" which is what my dad paid for the bottle. Over the years since his death in the early 1980s, I've had many, many fine bottles of wine from his collection. I remember one bottle of 1974 Charles Krug Pinot Noir that was just spectacular when I had it in 2004. The folks I had over for dinner that night were quite experienced with 1000 bottle collection at their home, and loved it. At the time when I looked the retail price up it was around $400. Too bad that these wines have just gone bad. I've only a few bottles left, but assume all are shot. Fortunately, my off the cuff menu of thyme sauteed shrimp and asparagus with onions, red pepper, garlic and sherry with a side of rosemary steamed cauliflower sprinkled with paprika came out much better. And the bottle of 2014 Bogle Merlot I had bought paired wonderfully with the food. The weather had been warning of a storm coming for days. Each day, the intensity predictions became greater until last night when the reports were that we'd be in blizzard conditions from early morning Thursday 02/09/17 through late night. And did the snow fall! All day, visibility out of the library windows was just barely to the tree line behind the adjoining condo project. 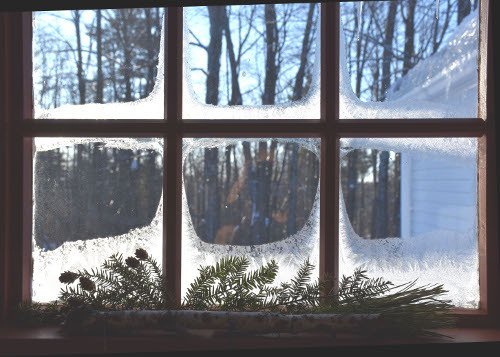 At times, the wind whiped the snow against the windows in 30 mph gusts so hard you couldn't see anything. However, it was spectacularly beautiful, just like out of a movie! New York was supposed to get up to 18 inches, and I suspect most of the city just took the day off because there wasn't much activity in the stock or currency markets; I sat with an open position that didn't change much in value most of the day, the little quote boxes on my screen hardly flashing at all. Saturday night 02/11/17 Sue and I hosted our last annual Full Moon Snow Shoeing Adventure here in the Seacoast area. Though just the third time we've done this, it seems that its always been either during or right after a huge storm! This was no exception. The area had been hit the day before with the third pretty good blizzard in the last few weeks. At least it wasn't going on that evening! We met Colin and Ren, and Mike and Sheila for dinner 5:00 pm at Newick's Lobster House in Newington, NH, part of the tradition. Just a few folks this year because of the storms and approaching Valentine's Day on Tuesday. After dinner, Sue and I met up with Mike over at the Kingman Farm parking area on Route 155 in Durham, NH. Because of the storms, the town hadn't plowed out the parking area; there was no way we'd get in there let alone get out! There was a wide swath on the side of the road that, though filled with snow, had obviously been used for parking. We slid in there but decided to turn around and come in from the other direction so that when we had to drive out, we'd be facing the downhill slope for better exiting traction. And we needed every bit of that when we left! There was a deep slushy snow covering everywhere. Rather than snow shoeing back into the woods along the main trail, Sue charged off into the fields to the right. The plan was to traverse along the side of the woods, and then take one of the side trails that would loop us back onto the main trail to the parking area. It's a good thing Sue knows Kingman Farm so well. The trails were barely traveled, and though it was a full moon, the gray overcast muted the light so that once in the woods it was tough telling where you were going. Well..., it was tough for me to tell where we were going. But Sue knew right where to go, so Mike and I just followed, stopping every now and then to marvel at the deep quite of the woods. When we got back home just after 8:00 pm, I called Steve to let him know we had arrived. He and Becca had not been able to go out with us, but said that they'd join us for the movie of the night. We chatted for awhile over a glass of wine and Finnish Blueberry pie Sue had made that afternoon, which was just the best you can imagine after trudging through the deep drifts in the cold woods. The movie of the night was the classic 1972 Robert Redford movie, Jeremiah Johnson. Though long, what a spectacular film. And so fitting to the snow shoeing adventure we had just come from! 02/13/17: And The Blizzard Continues! The first blizzard hit 20/09/17, took a brief breath after dumping around a foot on us. Then, it snowed the 10th and 11th for several inches more. But yesterday the 12th and today the 13th the storms have come back with a vengence. 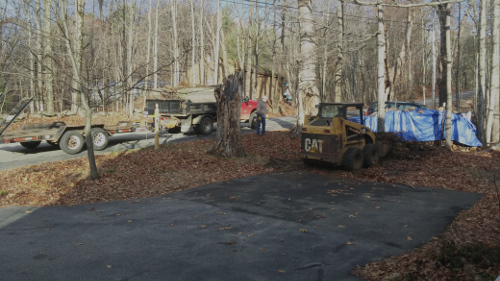 Our contractor, Steve Chorba, took that shot, as well as well as this picture of the road, as he was pulling up to the house. And here's a picture of Mia playing on a snow hill that Marissa sent to me! I drove up to the new house this morning to leave some boxes of books, and stopped off on the way home to food shop for tonight. 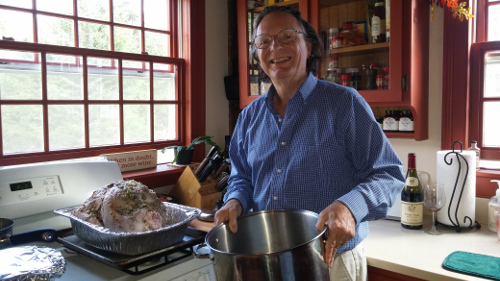 I thought I'd cook in tonight because Friday evening we're going out to Durbar Square, a Himalayan restaurant in Portsmouth, for dinner before heading over to the Seacoast Repertory Theatre for their production of Driving Miss Daisy. I didn't get back from running around until after 2:00 pm, and so I started the food prep work. I wanted to be freed up so Sue and I could enjoy a fire and play some backgammon before I had to do the actual cooking. Before starting to chop up the onions, garlic, and ginger root, I popped open a bottle of 1978 Beaulieu Vineyard BV Georges de Latour Cabernet to see if maybe it was any better than the bottle of 1978 Louis Martini Cabernet I had tried back on 02/04. This was another bottle of the approximate case of wines I have remaining from my dad's collection. But we still had wine! I opened a bottle of organic Natura Chardonnay, and we sipped that while we watched the fire and played several sets of backgammon, of which I went down 23 points! Well, maybe not so good tonight with the backgammon score, but my pork chops sauteed in onion, garlic, ginger root, thyme, tarragon, and sherry with paprika and thyme steamed kale. Sue and I drove into Portsmouth, NH for dinner at Durbar Square, a new Himalayan restaurant, and then went to Seacoast Repertory Theater for their production of Driving Miss Daisy. We were excited to try Durbar Square because it is owned by the original family who opened Cafe Mo Mo in Manchester. Unfortunately, the last 2 times we've been to Cafe Mo Mo, it just has not been very good. And now, comparing it to Durbar Square just proves how poor the food was. Durbar Square was so good, I can't believe it! And we totally enjoyed Driving Miss Daisy. We'll miss the ease of access to The Rep after we move to New Durham, that's for sure. We got there just before 11:30am, and were both just totally knocked out with how great everything looked! Sue hit the colors right on it, keeping with the period and character of the house. Sue caught this great picture of the new house at dusk on Tuesday night 02/28/17 when we went up to check on how the interior painting was going. It was a really cold Thursday night 03/02/17 for Colin and Ren to return from their weeks vacation in Punta Cana, DR. After waiting for just a little while in the cell phone lot at Logan International Airport in Boston, MA, Colin called around 10:45pm and said they had their bags, but to hurry as they were freezing! Sue and I couldn't help but to razz them about it, though it was pretty cold even for us at something like 15 degrees F! But that's what you get when you send pictures of yourselves basking in the sun on the beach with Pina Coladas raised high in toast! 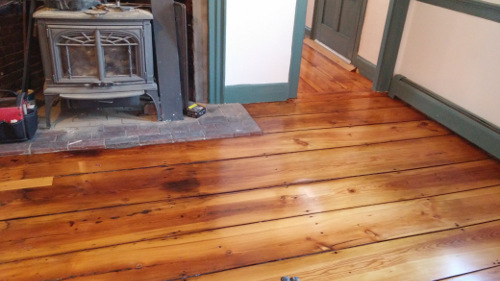 David Bourcher of Boucher's Wood Floor Care had completed quite a bit of the repairs to the original wide board pine floors at the New Durham house, he still had some remaining work to do Monday 03/06/17 before he could start the process of sanding. 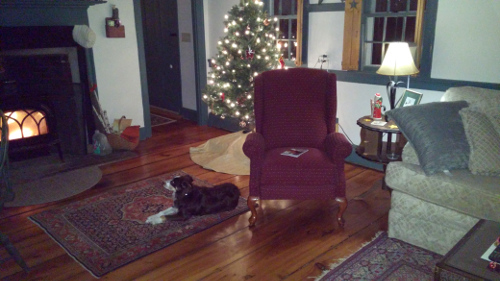 Sue and I had decided to restore all of the floors in the house from their painted state to their natural color. Because of their age, David said he'd need to put at least 4 coats of polyurathane down. By the time I got to the house just after noon on Monday, David had just begun to strip the floors in the library. It was so exciting to see the contrast of the old floors with what was appearing after the sanding. David of Boucher's Wood Floor Care had requested that no one enter the house until Monday to allow the last coat of poly to completely dry. 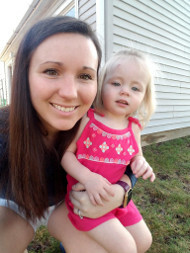 I could hardly wait to get up to the house to see them! Sue got home not long after I did, and was so excited about the pictures of the floors that I had sent to her. She was so about to burst that I told her to jump in the car, and I'd run her up to the house before dusk so that she could see them. Tony and Eli from Burke Moving out of Somersworth, NH had come over for about 4 hours yesterday (Wednesday) to pack everything they could. Both of them and 2 others arrived today at 8:30 am with 2 trucks to start loading. It was more than a hectic day... It took them almost 5 hours at the condo to load the trucks, and then several hours more at the New Durham house to unload. 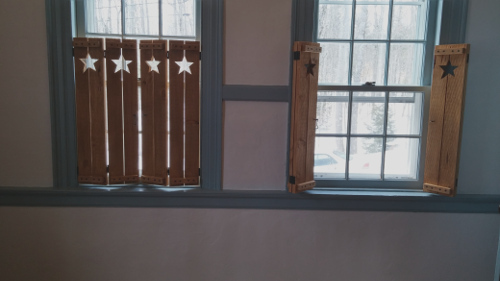 While the movers were packing up the condo, Mike and Dennis were up at the house installing the shutters they had build for us in each of the 12 main windows. They came out just super! Thanks Mike and Dennis! Skills far beyond just being great painters! Despite our work in thinning things out before the move, it was easy to see that we still have way too much stuff. Not only are we going from a 1450 square foot space to 1250 square feet, the pitch of the roof in old homes like this totally eliminates wall space in the entire upstairs. Friday 03/17/17 Sue's friend Jen and her boyfriend Butch brought a great Indian inspired crock pot dinner and enough wine to get us through the evening! Thursday after the movers left, and then all day today, Sue and I had worked to at least put some order to the chaos. It's so important to get things into a reasonably livable state after an ordeal like this. Otherwise you just feel like you're living in a bus terminal. 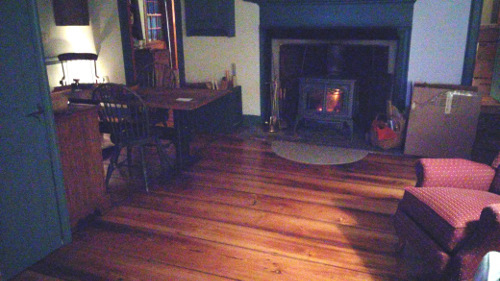 By the time Friday evening came, I lit my first fire in the woodstove and Sue made some final adjustments to furniture placement and organizing the kitchen area. It was great to then let it all go when Jen and Butch arrived. We had a wonderful evening, but made it an early night because we were both exhausted. 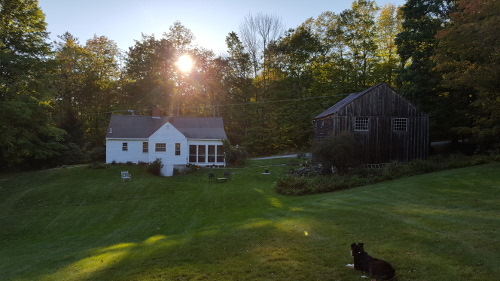 After a hot cup of coffee, Sue and I were off into the barn to see if we could find some things that were missing which should have showed up in boxes the movers had brought into the house. We were totally horrified that the entire huge left side of the barn was packed floor to almost ceiling with stuff... Sue climbed through the maze and across the top of the mountain, opening boxes and searching for missing items. And it was cold in there! We did find some things, but others remained a mystery. 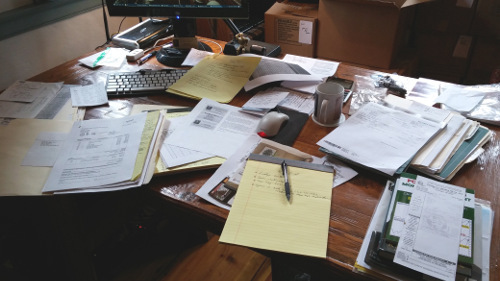 While waiting for Colin to come over - as he had called and said he'd be up in Farmington helping a friend and wanted to see the after construction and floor renovation - Sue threw herself into a kitchen organizing frenzy. Colin was amazed as the last time he had seen the house was just after the stairs had been torn down. He and Ren couldn't even see the upstairs then. But now, the transformation was huge for him to marvel at. 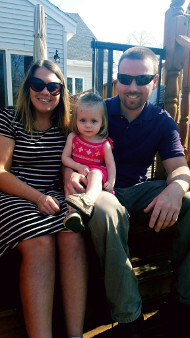 Marissa had been wanting to see the house, but with her work schedule and her role as Head Lacrosse Coach for Spaulding High School, she just hadn't had the time to break away when I was up during the construction. But now that was done, she, Gary, and Mia brought Sunday coffee and muffins. 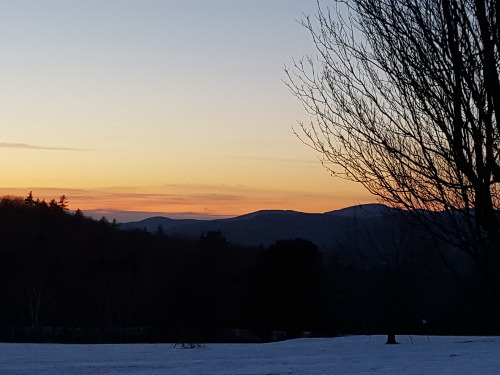 Sue caught this great shot 03/23/17 from the top of the ridge just as the sun was setting over the mountains in the distance. With only a weather prediction for light snow showers, Sue and I headed out for the day. 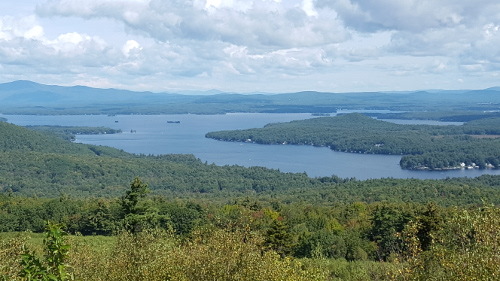 We had a couple of general stops to do first, but the focus was to grab lunch at KFC in Rochester, and then head up with it to Ossipee to share with Sue's Aunt Carol for her 81st birthday. What started out to be a mix of light snow and rain quickly turned to snow as we got onto Route 16 and headed north. The further we went, the worse the snow got. Visibility was some of the worst that I've seen on 16 in a long time, and the roads were so slushy that I had to keep my speed to around 35 to maybe 40 mph. Sue snapped the above picture as we crept up Route 16. We had a great visit with Carol, but by 2:30 pm I said we'd better get going. The whole time we were there, the snow had kept falling. Though not too heavy, it was constant and had accumulated an additional inch or so on the car. I went outside and shoveled for Carol and got Sue's car warmed up. Sue suggested that we come back home over Route 28 through Wolfeboro rather than mess with Route 16. Though less traffic, and more alert, paitent, and careful drivers, we still saw a few cars off the road; even 1 that had rolled over. It was a mess. Again, very slow and very careful. 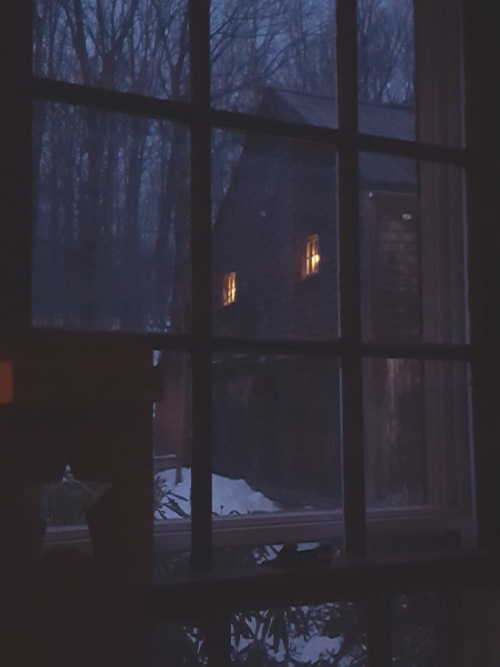 I got a fire going in the woodstove as soon as we got home, shook off the chill, and settled into a nice late afternoon view of the snow falling outside the windows. What a surprise storm that was. After tending to the woodstove, I flopped down on the sofa to see what was on tv. 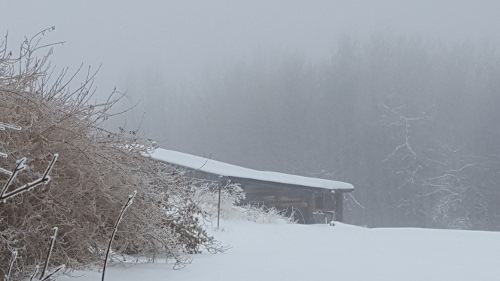 I happened to glance out the window toward the barn and just knew this was a picture Sue would love to capture. 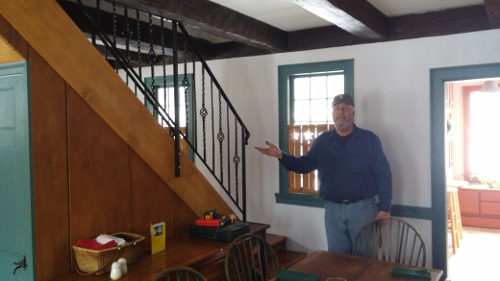 Wednesday 03/30/17 Ernie of Milton Fabrication installed the wrought iron stairway railings that he had designed for us. He did such a great job! When Sue got home from work she just couldn't believe how great they look. Well, all of the renovation work has been completed this week, and so we posted the house numbers on the door frame making it official! We're in! I spent a couple hours snow blowing and shoveling Saturday morning, and pretty much ached all over that night. After comining in, a hot shower, and some advil I was all set, though stiff for sure. Though only having officially moved into our new home in New Durham, NH 04/01/17, I held my first Rose School of Karate class Thursday 04/06/17 out in the barn. Because of awful weather on the mountain, I was the only one attending. But that's fine. I ran all 10 of our karate forms, and capped it off with Rose Crane Spreading Wings at the Break of Dawn. It was a good class. 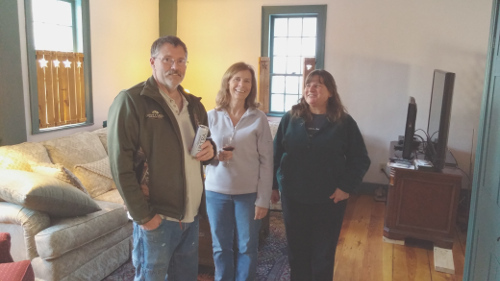 Sue's brother Alan and his wife Joann came by Saturday afternoon to see the house for the first time. We had a nice visit with them, and were so happy that they stopped by to see us. 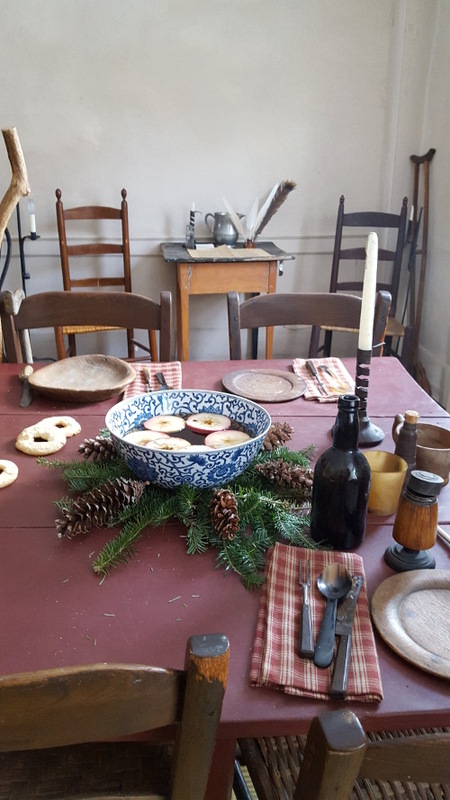 While Sue took them on an extended tour of the house, barn, and grounds, I started some preliminary food prep work in the kitchen as we were having Colin and Ren over for dinner. 04/12/17: Happy 30th Birthday, Colin! To celebrate Colin's 30th birthday, Sue and I took him and Ren out for dinner at his choice of The 99 Restaurant in Dover, NH. We had such a great relaxing time. It was so nice to spend a couple of hours with them, catching up on everything going on in their lives. 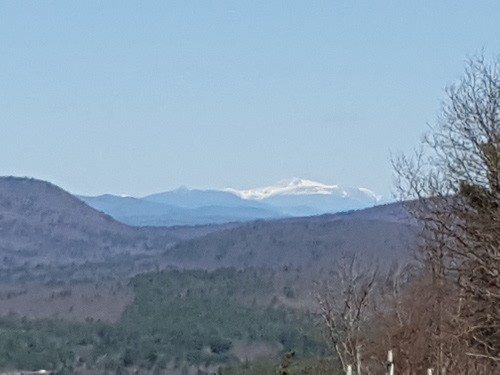 We had planned to drive up to celebrate Easter with Sue's neice Tracy and the family in Ossipee, NH. But Sue's cold that had just been a minor irritation the last few days became a really bad cold last night. So, it was a quite day on the mountain for us. The sun was so warm, and with a light rain last night there were so many terrific smells of Spring in the air, that Sue just couldn't resist. 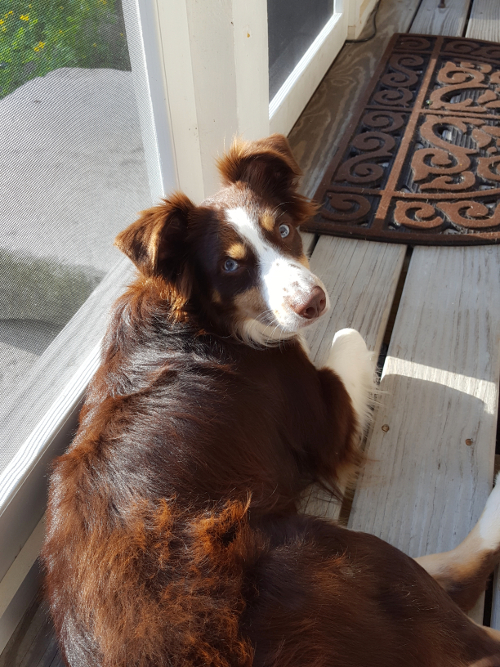 I got a lawn chair out of the barn for her, and after a short, slow walk around to see some of the flower buds just begining to open, she sat outside for awhile. Sue had taken this picture at the top of the ridge on Friday of Mount Washington still snowcapped. 04/18/17: First Date Anneversary and Both Sick! Sue had not only picked up a bad cold and sinus infection, but she passed the cold on to me! Though both of us were not feeling our best, I fixed a special dinner and got a fire going in the wood stove to celebrate our 7th first date anneversary. Sue and I had bought a trundle day bed awhile ago for the new house. Colin had been nice enough to haul it over to his house to store it for us. 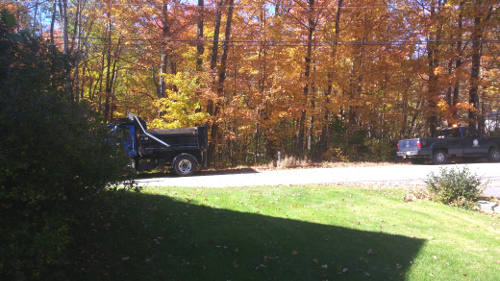 He picked me up today, Sunday 4/22, we drove to his house in Somersworth, loaded the day bed onto a truck he had borrowed from his friend, and then carted it over here. Though I didn't at first think we'd be able to get it around and over the wrought iron railings and up the stairs, Colin muscled it around until he succeeded. After he put it together, he drove Sue and I down to the Lowes Home Center in Rochester. We had seen a 3 burner outside gas grill there a couple of weekends ago. Not wanting to have to buy it in pieces and have to assemble it, and at the time not having any way to get an assembled one home, we just kept it in the back of our minds. Colin and the truck were just what we needed! It's been a wet and very foggy few days up here on the mountain. 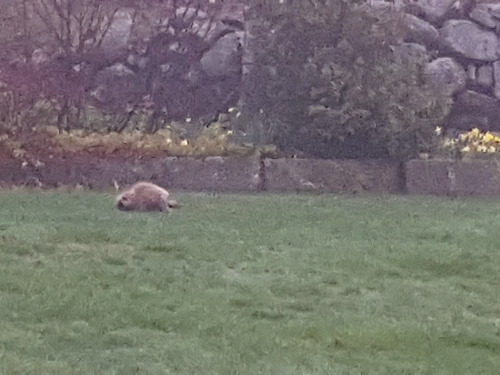 Maybe because of that, however, when the fog did clear a couple of deer come out of the woods, a herd of turkeys swooped through the yard and scrambled across the road, and I finally saw our resident porcupine, "Hugh Pine" waddle along the stone wall. Sue's friend Gale came over Sunday 04/30/17 to help organize and start the planting of different flowers around the yard. She had brought a bottle of Cabernet that we enjoyed with a dinner I fixed while the girls were in the living room chatting. Shortly after moving into our new home, Sue and I went down to the local library to meet with the director, Cathy Allyn. Sue and I both view the local library as one of the key elements of a community, and wanted to introduce ourselves. We hit it off just great with Cathy, and as soon as she learned of not only Sue's love of photography (Susan Lyndes Photography - www.SusanLyndesPhotography.com), but also Sue's recent 3 month exhibit of her work at the Dover Public Library, she asked if Sue would be interested in displaying her work in New Durham. Sue was honored with Cathy's interest, and so she elisted my picture hanging expertise and we hung up a selection of some of Sue's Spring and Summer collections on the afternoon of 05/04/17. 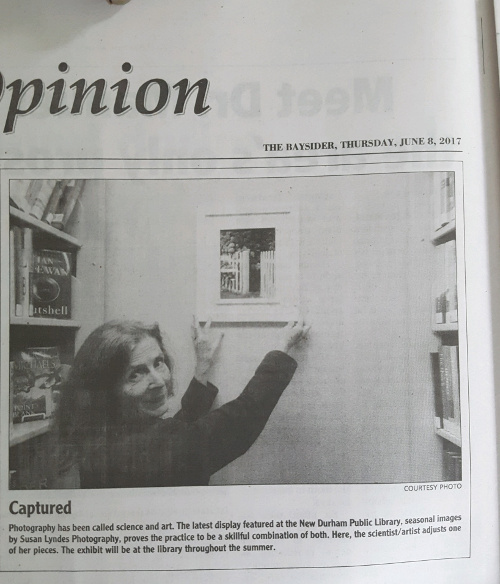 Cathy took the below picture of Sue placing her works, and posted it in the local newspaper. How exciting is that! I'm soooo proud of Sue and of the thoughtfully composed work that she does. The caption says: "Photography has been called science and art. 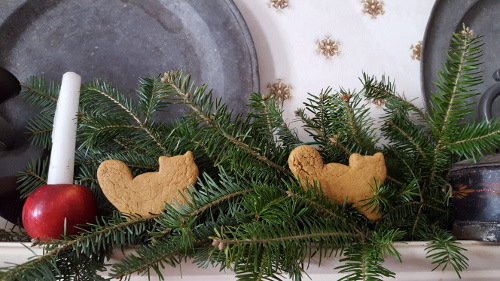 The latest display featureed at the New Durham Public Library, Seasonal Images by Susan Lyndes Photography, proves the practice to be a skillful combination of both. Here, the scientist/artist adjusts one of her pieces. The exhibit will be at the library throughout the Summer." 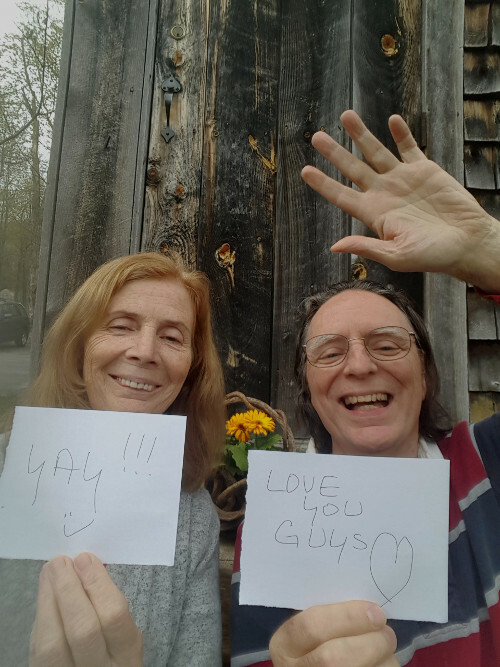 Sue took this selfie of us on Wednesday 05/10/17 to wish Ren success in her surgery down in New York. 05/13/17: First Grass Cut by City Boy! Look.... it's been about 14 years now since I've had to cut grass. 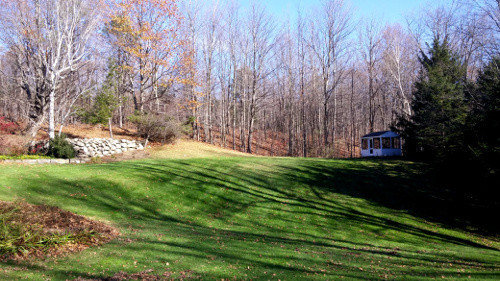 I had looked at this with some trepidation because our new home sits on 2.7 acres, much of which is open grass. 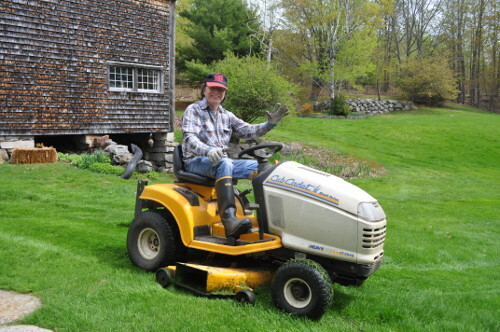 The former owner, Carl, came over at 9:00am to give me the operating instructions for the Cub Cadet riding lawn mower that I had bought from him. Not too complex, and it wasn't long before I was in the seat tear-assing around the lawn. And the results weren't bad for a city-boy who'd never cut more than a normal size yard or even been up close to a riding mower. Sue had been down to visit with her daughter, Jill, in Westerly, RI last weekend for a pre-Mother's Day, and then had a pre-Mother's Day lunch with her son Lucas Saturday. To further her celebration for having such great kids, for dinner Sunday evening, I cooked up a special Scallops Wrapped in Prosciutto on a bed of Belgian Endive, Radicchio, and Red Cabbage, with a marvelous bottle of William Hill Cabernet. Bob from Top of the Ridge Chimney Service delivered and installed our new Jotul F 500 Oslo wood stove. This is going to be a terrific stove for us. 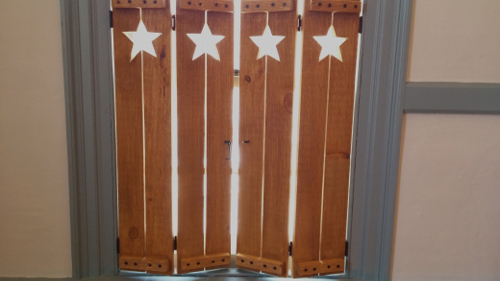 It's rated at 70,000 BTU/hr, and should lay out a nice, even tempered heat to overcome some of the older and more drafty original windows in the house. Thanks so much to Bob for finding the stove for us, and walking us through all the pros and cons of either keeping our Lodi Leyden or investing in a new and more up-to-date stove. Sue and I drove down to Portsmouth, NH Thursday morning, and met up with Tom Toye of Arthur Thomas Properties, our friend and real estate agent, at 10:00am for the closing on the sale of our condo in Dover. After the closing, we drove into downtown Portsmouth to meet up with Tom's wife Nicole at the Durbar Himalayan restaurant for a celebration lunch. What a great meal that was! First time for Tom and Nicole, second for Sue and I, though we had gone many times to the owner's former restaurant, Cafe Mo Mo in Manchester, NH. Because we had such a huge, wonderful lunch, we decided not to go out to dinner, but to rather stay in, play some backgammon, have a light salad for dinner, and watch a movie. Well, because I was really in the mood for Wall Street, Sue was a good enough sport to watch it with me. For what must be the third time for her. But she says she enjoys it, even though high drama finance is not her most favorite thing. It is probably my favorite movie. 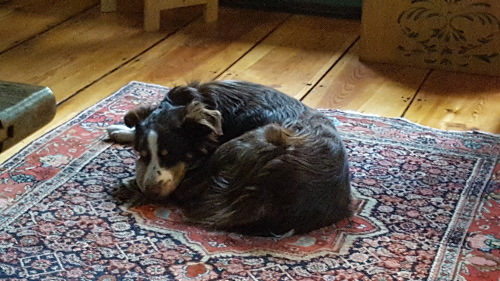 A friend who owns a mini Australian Shepard sent us an ad for one he saw for sale. Denise brought Beau over on Sunday to see if he'd fit in, and we just fell in love with him. 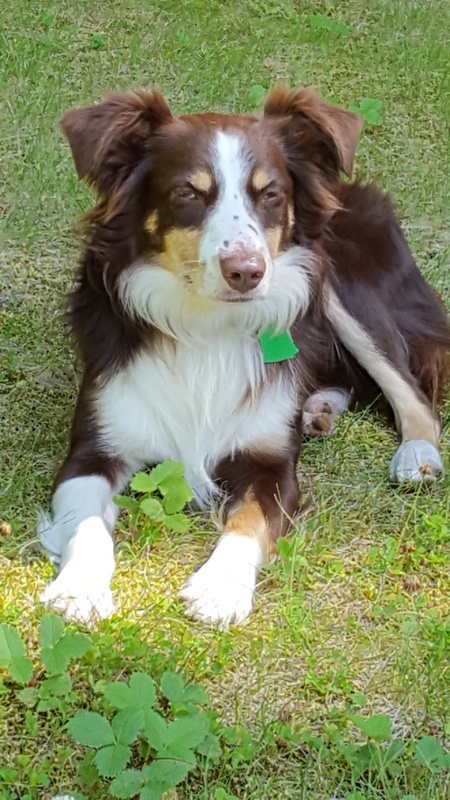 He's almost 3 years old, and 31 pounds of energy. He's got 2.7 acres now to burn around, and he's just a joy to have. 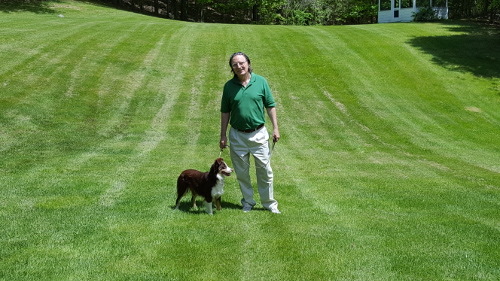 Sue walked Beau down the road to the 44 acre parcel of land that our friends Jen and Butch just purchased. 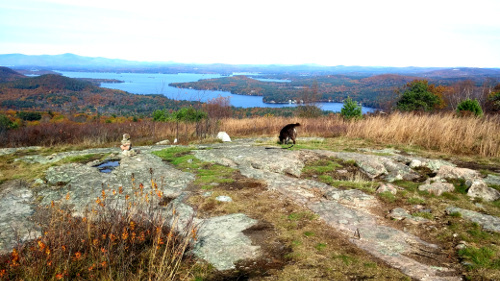 It was a beautiful day, and Sue got this great shot of Beau on the ridge. Sue and I loaded the kayaks on top of the new Subaru Forrester that Colin had renovated for me, and headed over to Halfmoon Lake for our annual Memorial Day Kayaking Explore. Before we left the house, Sue got these terrific pictures out of the kitchen windown of some deer that had wandered into the yard early that morning, before I had even gotten up. It was a beautiful day for our adventure, though it had been raining the day before and rain was threatened through the weekend. Sue shot this picture from the south east end of the lake toward the boat launch at the north west end. The lake is small, and fairly heavily populated. Because of the holiday, everyone was up getting their parties set up, lawn mowers roaring, kids screaming, and all sorts of distractions. There is some open wooded land at the south west end of the lake, but other than that not really our type of place. 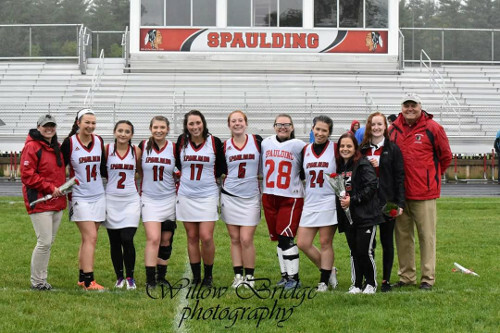 Marissa is the Head Lacrosse coach for the Rochester, NH Spaulding High School team. Their fianl game was the other day in a pouring, cold mess. 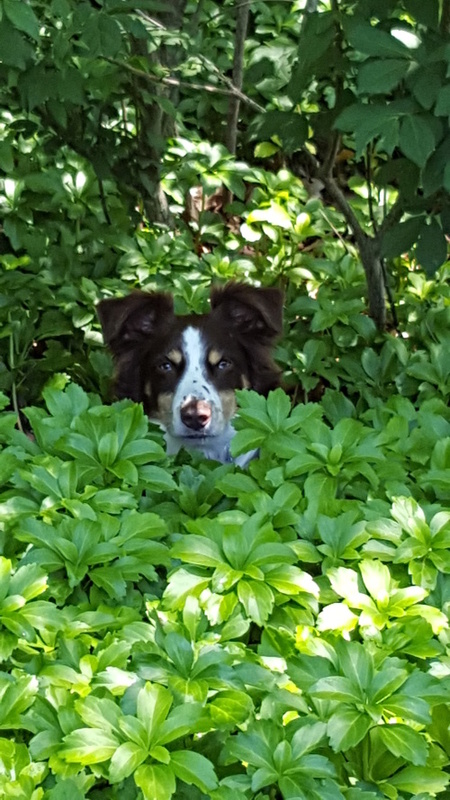 This picture was taken in a brief clearing. I'm still unpacking boxes from the move. I found an old leather bound book that my dad's former employees at the Chicago Housing Authority gave him when he retired. This is a picture of a list that they drew up of his favorite things. It had been raining for days. Heavy at times, with pauses just to drizzle and be miserable. Well, the day before I headed out to St. Louis, a beautiful sun broke through the clouds and warmed everything up. I had headed out mid afternoon Wednesday 06/07/17 for a hotel close to the airport in Manchester, NH. I had a 6:30am flight Thursday morning, and just didn't feel like getting up at 04-dark-thirty to drive down. I was headed for St. Louis Lambert Field because I was on the C&S Self Defense Association examination board for the 2017 Master Candidate Review to be held in Mulberry Grove, Illinois. My disciple and 35 year student Master Tim House, met me at the hotel around 6:00pm, and we headed over to a local restaurant for a nice dinner and chat. But it was an early 4:00am call we'd have to make to catch the airport shuttle at 5:00am, so we closed up shop pretty soon after getting back to the hotel. We had a couple hour layover in Orlando, FL before getting into St. Louis at 2:50pm. We were met by my 39 year student Carl Parker. Ironic because he was one of the candidates testing for his 5th Degree Black Belt Master level. He was also picking up another very long time student of mine with over 25 years in the martial arts with me, 5th Degree Black Belt Russell Jones. He had flown in earlier, and he and Parker were waiting for us in the baggage area. The interesting dynamic here was that both Tim House and Russ Jones (along with James Nancarrow who was driving up from his home in Florida for this exam) had taken their 5th Degree Black Belt exams at a similar event at the 2013 Master Candidate Review. They were all feeling pretty good about sitting on the other side of the exam table for this one! From there, it was a fairly straight forward hour and twenty minute drive to the Bear Grove Cabins on a 200 acre working farm in the beautiful southern Illinois cornfields of Mulberry Grove. The owner Sharon and her husband Van couldn't have been more accomodating for us as we jumped right into the work as soon as I got there. And the work kept up. It was constant, and referred to by one of the candidates as, "Information and questions coming at you like a firehose." I know no one got any more than the 4 hours of sleep a night that I got, so you can imagine the pace we were at. Myself, Tim House, and Russ Jones were off early Sunday morning heading back to the airport in Carl Parker's car. Carl then continued to take a long drive back home to Albuquerque, NM. Russ Jones had a Delta flight, so we dropped him off first. Tim and I only had about an hour wait for our Southwest flight to Manchester, NH with a couple hour layover in Baltimore, MD at BWI. Sue and I took Beau on a hiking explore. We drove to Alton Bay, and took Rand Hill Road, and then up Alton Mountain Road looking for the . 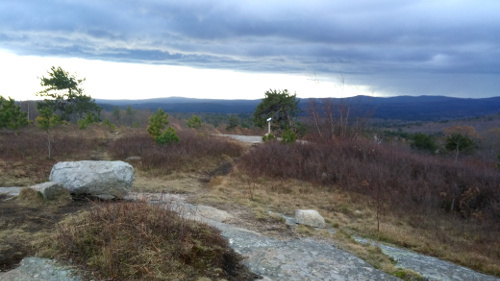 We only had vague directions, just hearing that there was a hiking trail to the top of Pine Mountain. Alton Mountain Road ran out into a gravel road, then packed dirt, and then disintegrated into snowmobile trails. Not sure if I missed a turn off or something, but we got out of the car and took Beau down one of the trails looking for some signs. The trails here were all in the woods, and two that we walked soon became washed out mud holes. One, however, led to a large clearing with what's known as The Silent People of New Hampshire, "... Life-size stick figures dressed with shirts and hair pieces!". Informational sign about the history of The Silent People of Finland. Back in the car to see where we might have missed some other sign along Alton Mountain Road. We ended up almost all the way back to Rand Hill Road when I said that it must have been that we should have turned onto Avery Hill Road, back about two-thirds of the distance to where Alton Mountain raod went to gravel. Back we went. 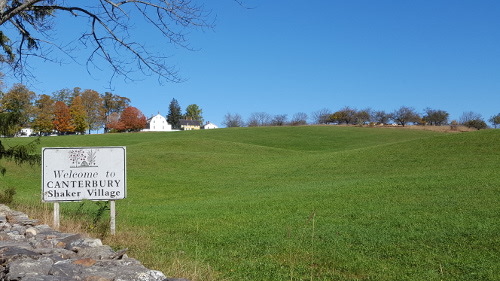 Sue spotted a sign on the side of Avery Hill Road announcing the Evelyn H. & Albert D. Morse, Sr. Preserve. There was a parking area there, and Sue saw a woman in a car and suggested we stop and ask her. Of course Beau went crazy when Sue got out of the car to talk with the woman. I had to roll all the windows up so the woman didn't think Beau would squeeze himself out and grab her. The woman knew dogs and that Beau would be fine. So, out he goes like a flash and mugged the woman to death - after, of course, rasing absolute hell with barking and running around like a wild thing. She told us there was a trail head for the Pine Mountain Loop Trail just a little further down Avery Hill Road. We left the car there, and walked the short distance to the sign makring the start of the Arlene Frances Morse and Dana and Arthur Morse Loop Trails. I unclipped Beau's leash, and he was off like a shot up the trail. But he'd only go just out of sight and then turn around and come storming back. He did that all the way up to the top of Pine Mountain and back. So, though we might have done maybe 1.5 miles, he must have run 3. And when he got home, he did collapse onto the floor. The hike itself is one of the nicest I've been on. Not easy, but definately not hard. 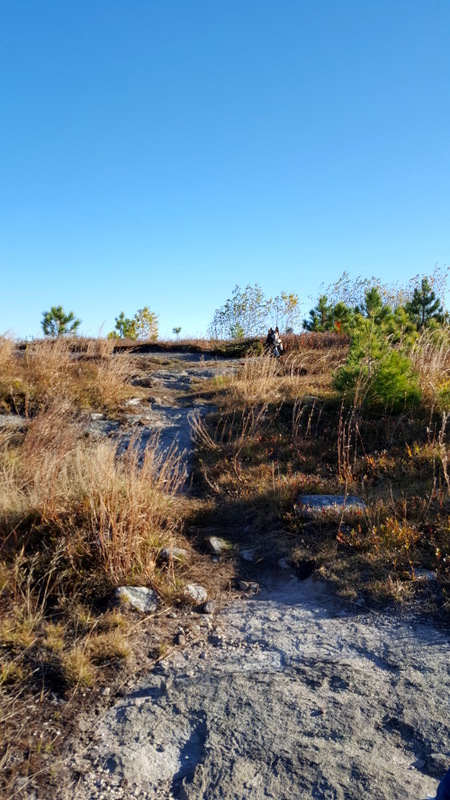 Most of the trail is open so you can see several blueberry fields, and peek-a-boo views of the surrounding mountains and Lake Winnipesauke. And when you hit the top, there are just spectacular sweeping views of Winnipesauke and the Belknap Mountains. View of Lake Winnipesauke from the top of Pine Mountain. For my 68th, Sue fixed a super lasagna that we had with a bottle of marvelous Chateau Ste. Michelle Cabernet. Movie pick of the night was The Matrix! Great day! Marissa invited Sue and I out on Gary's lobster boat for a Father's Day putt up the river, and lunch on the anchor. The weather held out all day and was just terrific! The sun was hot, but the breeze on the river kept the humidity down so we could all sit comfortably in the sun and chat. We headed back to shore about 3:00pm, and were met back at the house as soon as we got out of the car with Beau's howls of joy to have us back, though he does go totally spastic until settling down after a few minutes levitated off the ground. It was a beautiful day, and when Sue got home from work we just parked it out on the porch. I poured a couple of glasses of wine, and we played backgammon for awhile, totally enjoying the breezes ruffling through the trees. After watching the 2016 movie, Lion, we started to shut down for the evening, but Sue came in after taking Beau for a walk all excited about the clear sky and stars. She suggested that a small cordial of limoncello out in the backyard looking up at the stars would be a perfect end to the evening. We stayed out there for quite awhile enjoying not only the stars, but the total quiet of the woods around us, other than the soft rustle of leaves in the light night air. It's exactly what we both envisioned our new home to be like. We're very fortunate, to say the least. 06/25/17: Mia 2nd Birthday Party! Wow! 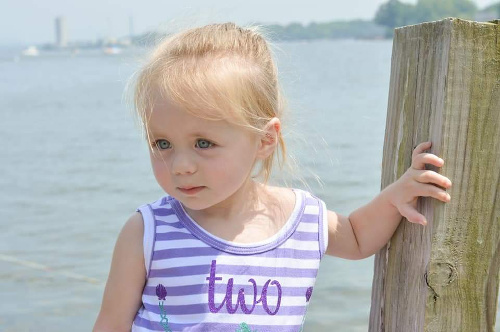 Mia is Two now! And what a beautiful and charming little girl she is, all from the love and care of Marissa and Gary. 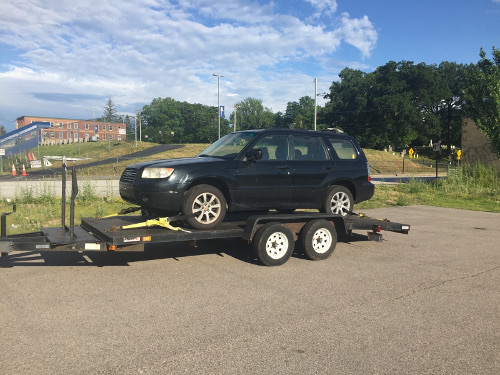 Sue had found a Subaru Forester similar to mine online, and asked Colin to take a look at it. Though needing a new engine, he thought it would be a great car for her. Here it is loaded on the truck to bring to the shop. Sue and I piled Beau into the car and went on an explore to find Knight's Pond in Alton. Sue had heard that it was a really pretty small pond. Beau had a blast charging up the trail ahead of us and then flying back down a million miles an hour. We bumped into just a few people along the way. Though Beau did his usual crazy charge and barking his eyeballs out of his little skull, as soon as he got to the people he was fine. We kept him on a tight leash when we heard someone, but one time he heard them first and was off. We only followed the trail to the top of the pond as one of the folks we had met said it would take about an hour and a half to circle the entire pond. That'll be for another day. Sue had also heard about a great boat access point to the Merrymeeting River and wanted to do a kayak adventure for the 4th of July. We didn't get started until around 11:30am, but that was fine because we only planned to fix up some dogs on the grill for dinner. We didn't get home until around 4:30, so had a great day on the water. Even though it was a holiday for us, the rest of the world was still active with the currency markets going full bore. Here I am, parked along the bank in the shade, checking my positions on my phone just before we stopped to have the lunch Sue had made up for us. 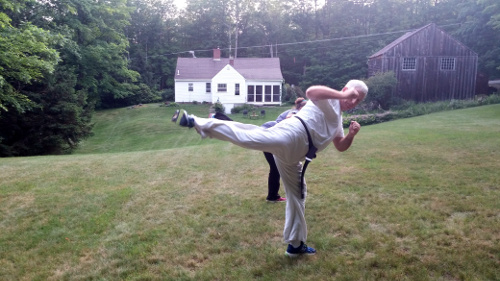 A little karate workout in the backyard on a nice summer's eve. We flew out of Manchester, NH on Southwest Airlines late Monday morning, arriving at Baltimore's BWI airport around 1:00pm. We rented a car at Dollar, and drove over to the Radison Cross Keys hotel on Falls Road before taking an Uber over to the MedStar Union Memorial Hospital. We met Scott and his daughter Aubrey, and my other nephew Dean on the 4th floor at around 4:30. 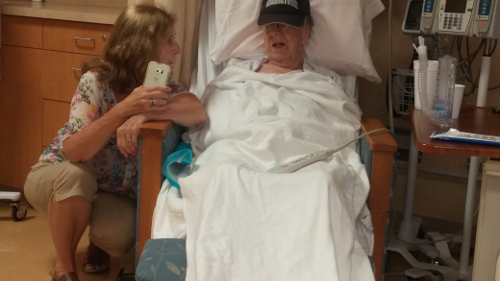 Because of his condition, we visited only sporadically over the next couple of days. It had been such a stressful and tough few days for Alan that by Thursday we all felt another visit from us would be counter productive. Since we had a flight out the next day, Friday, Sue and I opted to change hotels to the Holiday Inn at BWI so we wouldn't have to fight commuter traffic in the morning. While Sue and her friend Jen walked Beau and then went blue berry picking, I mowed the grass and caught up on some trimming. After Sue got back, we had a light lunch, and then threw the kayaks on top of the car. We drove up Route 28 about halfway between the Alton traffic circle and Wolfeboro to Gilmans Corner Road. 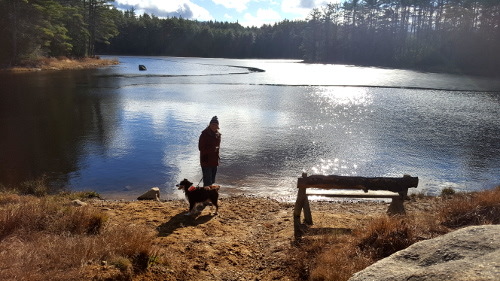 There's an unmarked gravel road that takee you down to Gilmans Pond. We were on the water by 12:15 and didn't pull until around 3:30. What a quiet and beautiful pond. There's a lot of plant growth in the water, though, particularly at the small dam where we put in. But once you get out past that stuff, it breaks into a wide open water area. We only saw one house the entire time, and that was at the far end of the pond which boarders on Drew Road. I got this picture of Sue taking a picture of some huckleberry bushes along the bank. There were quite a few of these, and I had never seen a huckleberry before, much less tasted one - and wild at that! They're really nice, small and black when ripe,and have a gentle sweet flavor. We harvested a small container of them to take home. Sue and I met Colin and Ren at the Longhorn Steak House in Newington, NH at noon on Sunday 08/06 to have lunch with our friend Neal. Neal had arrived on his boat for the summer around Memorial Day, but this was the first chance we had to actually see him this year. It's been a busy time for him on his new boat, Puffin, a motor boat, after so many years on his 32 foot catamaran, Ming. Neal moored Ming, and now his new boat, summers in Pomeroy Cove, off of Dover Point. Colin met him when he was only about 8 years old paddling around in the small bay off of the moorage. 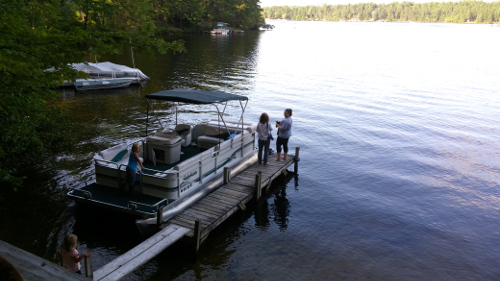 When the kids got their own small boats, they'd always ride out to Ming to visit with Neal. We have all kept up our special relationship with Neal through the years, though maybe only once or twice a summer now that we're no longer living on the water. Anyway, it was so good to see Neal and to catch up on what he's been doing with the new boat. Sadly, it won't be long before he pulls the anchor on Puffin and heads back down the coast to winter-motering along the Florida coast on the intracoastal waterway. We'll try to catch up with him hopefully once more before he heads out, but it not then we'll just have to wait until next season. Good tides, Neal! 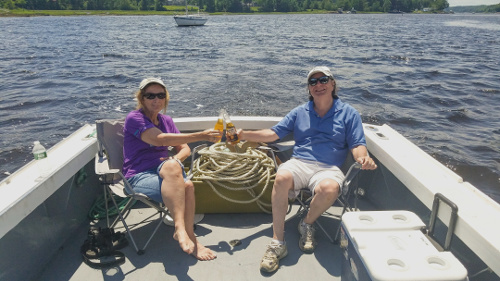 Sue and I drove up to her brother Alan and his wife Joanne's camp on Ossipee Lake Saturday afternoon 08/12/17 for a family gathering. We had thought we'd be getting some rain, but the day turned out perfect. Sue's nephew and niece, and their kids, and some of their kids had also come over. And there was so much terrific food! Yeah, I stuffed myself to a little excess. But it was all so good. I really enjoy just sitting out on the deck overlooking the small cove the camp sits on, just off the lake, a side finger lake to the big lake. I love listening to the wavelets slapping against the sandy beach as breaths of long past boats further out, the occasional call of a loon echoing in the distance, and the close rustle of leaves in the overhanging trees when the wind drifts off the water. Looking North East from the porch. I'm not much for Bingo, but everyone else was all over it. Me taking a picture of Sue and Tracy taking a picture of a couple of Loons that had just surfaced after ducking under the water mid cove in search of food. Our friend Gale drove over from Londonderry late Friday afternoon 08/17/17 to spend a couple of days with us. Sue and I started the party early with a glass of Sebastiani Merlot and playing several sets of backgammon out on the porch. Gale arrived around 5:00pm just as I had started prepping for dinner. I was fixing a Chinese ginger, scallion, and herb steamed chicken and bok choy that will sit on a bed of curried barley, with a side of sauteed green beans with thyme, onion, onion, and for sure some other surprise. You know, you get to sipping wine, chatting, cutting stuff up, sipping wine, stirring the sauce, sipping wine.... and pretty soon a couple of wonderful hours has gone by, but you're getting hungry. A wonderful dinner, followed by the movie, Papa: Hemingway in Cuba, which was really well done. 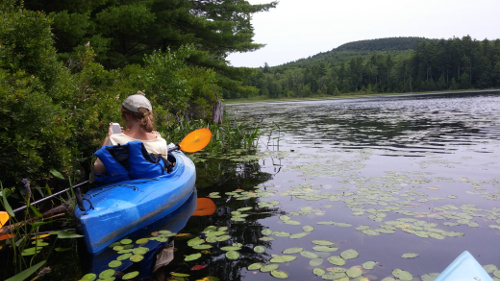 Saturday morning, after I headed off to Laconia to sit on a black belt testing board, Sue and Gale went kayaking on Mirror Pond, off the Merrymeeting River. We all had pizza for dinner after I got back, and then Gale headed home. 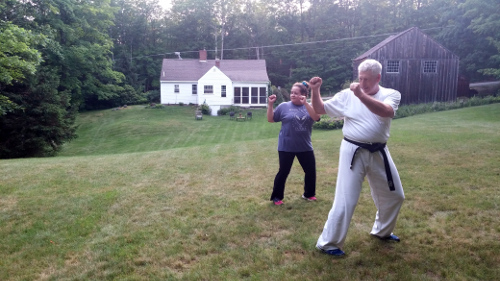 Early Saturday morning 08/19/17 I drove up to Laconia to my long time (almost 30 year) karate disciple, Master Russell Jones' club in Laconia.I was joining him and another long time (also almost 30 year) disciple, Master Timothy House, to sit on a black belt exam testing board for one of Jones' students. It started out to be quite overcast, though the drive up the back way through Gilmington is so pretty regardless of the weather. When I got into Laconia, the roads to where Sachem Health was located were all blocked off for some sort of Home Days celebration in the nearby park. I'm sure that went well, as the weather turned sunny and hot by mid morning. 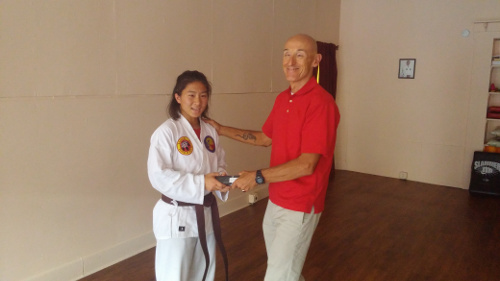 Beside myself, Master Jones, and Master House, 5 other black belts from local association clubs attended the exam. After seven and a half hours of exams, those of us on the board were completely satisfied that Isabel Barrett was qualified for promotion. Knowing that she was returning to North Carolina the next day, we all left so that Jones could spend some time getting her oriented to her new responsibilities, and giving her work assignments until she could come back up to New Hampahire. By the time I got home, Sue and Gale were polishing off a beer and wondering if pizza wouldn't be the perfect top off for the day. So, we sat outside, chatted, and shared a pizza as the sun began to drift down below the tree line. Sunday 08/20/17 was Beau's 3rd Birthday, so Sue thought it would be nice to take him for a short walk. We all piled into the car at 10:00 am and were off to Cooper Cedar Woods, just off of Route 11 not far from where we live. Sue's cousin Debbie brought Sue's aunt Carol down from Ossipee at 11:30 am for a visit so Carol could see the house. It was a beautiful day, with a nice breeze blowing through the trees, which we all greatly enjoyed while sitting on the porch. 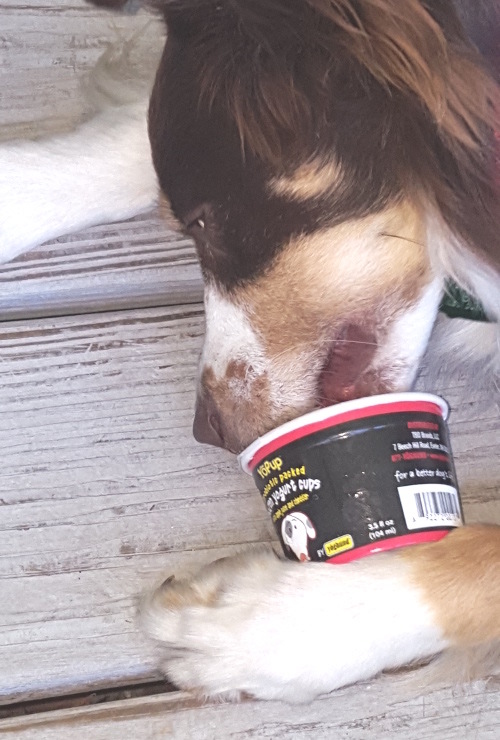 Here's the Beau dog slurping down Sue's 3rd birthday gift of a small cup of ice cream out on the porch with Carol and Debbie encouraging him on. Beau is determined not to leave a bit of that ice cream behind. I made up a pot of my special herb seasoned beans and grilled up some dogs for lunch. Sue had made up a batch of really tasty mango iced tea that went so good with everything. What a great, relaxing time we all had. After Debbie and Carol left, Sue was out digging around in the dirt, transplanting some day lilies, and moving some other plants around. Though it did get hot, the breeze really made it plesant to be out. Sue and I drove up Saturday afternoon 08/26/17 to check out the Wolfeboro Art Walk in Wolfeboro, NH. It was a beautiful late summer day, with a wonderful cooling breeze to accompany us as we visited several of the art shops along North Main Street. Wolfeboro itself is such a lovely New England village. To finish off our tour, Sue wanted to drive down to the Azure Rising Gallary on South Main Street and check them out. The current exhibit, "Timeworn II", included a couple of photographers that she was interested in seeing their work. What a terrific place! We were both captivated by the whole environment of this samll, "...seasonal, intimate art gallery", and so much enjoyed speaking with the folks there. After leaving Azure Rising, Sue thought it might be nice to check out the food at 'East of Suez Pan~Asian & Pacific Island Cuisine' that she'd heard about. It was just down the road on South Main, Route 28 South from Azure, so perfect. Sue and I took advantage of the great weather Monday 09/04/17 to have a Labor Day kayaking explore on the Merrymeeting River. Sunday it had rained constant bucketfuls, but Monday broke with bright sun and prospects for warm though breezy weather. We loaded up the car around 11:00am and were off for a great day! Yup, that's what you read: early fall! Some of the leaves have just begun to turn with the night temps dropping pretty consistently into the low 50s and even upper 40s. Saturday morning 09/09/17, Sue was off to help Jen and Butch with their yard sale. She took some of our stuff and made $28! She had texted me earlier that she was at the $26 level. Outstanding, and so, when I went food shopping, I stopped off at Johnson's Market at the bottom of the mountain and bought a really nice bottle of Chianti Riserva. After Sue got home and finished puttering around a little in the yard with planting, I opened the wine, and we went out onto the porch to play a few sets of backgammon. The air, though warm when we first went out, began to chill as the sun started to sag behind the tree line to the west. But that was fine as I had cooking to get to. I was fixing Spaghetti a la Carbonara, with a little enhancements of my own. My original experience with Carbonara was with a friend and his sister who were of Italian decent. Most recipes that you see don't include heavy cream, capers, parsley, basil, or peas. But it was in the dishes they cooked, and it makes the Carbonara just a super tasting mix. Meal prep was a little challenging tonight, though. Our friend, Steve Chorba, who had done all of the renovations on the house, had come over Friday morning and ripped off the counter tops in the kitchen, and then just laid parts of them back onto of the framing. Regardless of the recipe changes, and the cooking conditions, we had a great evening together finishing off the wine and watching a movie my brother Alan had suggested: the 2015 movie 45 Years, before turning in for the night. After Sue fixed some nice farm eggs in a bed of kale, we stuffed Beau into the car and went for a dump run. From there, we headed off to Alton Mountain Road to the trail head for Pine Mountain. It was a gorgeous day for a hike through the woods and open fields to the top of Pine Mountain. Beau bounced along in front of us, circling back, and then shooting off again. The views from the top were just spectacular! I love it up there. 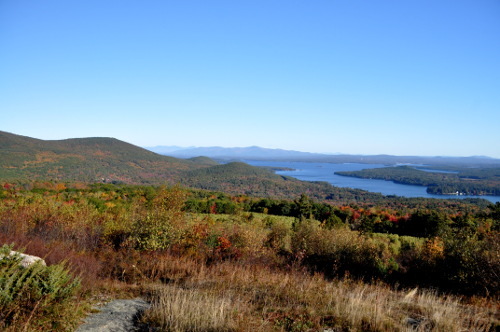 So majestic, and yet peaceful with sweeping views of all of Lake Winnipesaukee and the surrounding Belknap Mountains. On the way home, we stopped off at the Alton circle to get gas and some of their great chili for Sue, and I tried the macaroni and cheese. Sue and I met Colin and Ren for breakfast in Rochester, NH Sunday morning 09/24/17. 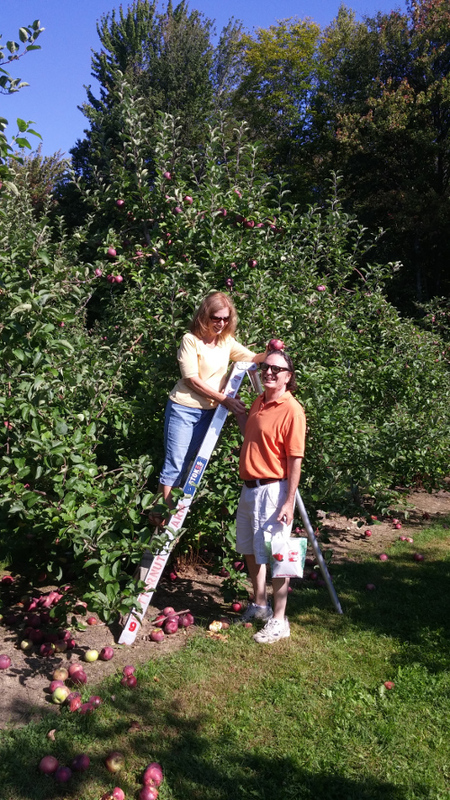 From there, we headed over to Butternut Farm in Farmington, NH to pick apples and get some pumpkins. My 40 year karate student and Disciple, 5th Degree Black Belt Wind Lynx Master Carl Parker and his wife Sheina arrived at our house Wednesday 09/27/17. 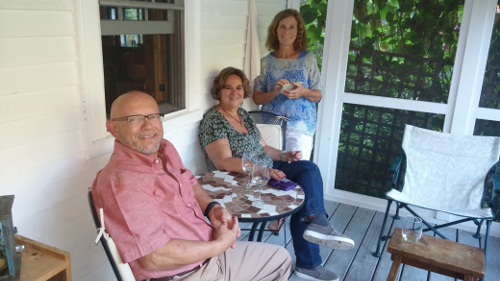 Master Parker, Sheina, and Sue enjoying the Fall afternoon out on the porch. 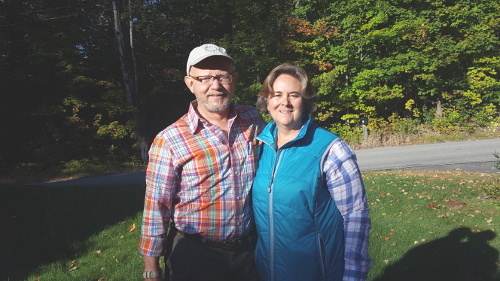 They had flown in from Albuquerque, NM earlier in the week, and had been visiting the New Hampshire White Mountains. Master Parker was here to participate in my annual Disciple Retreat, and had brought Sheina so she and Sue could go exploring the Seacoast. 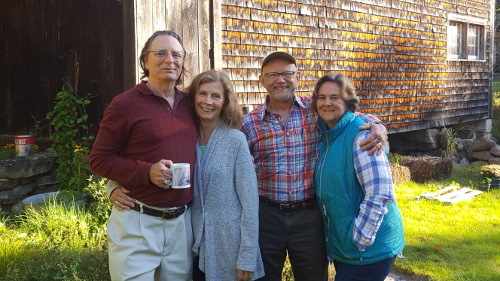 Prior to arriving at our house, they had visited relatives in the Boston, MA area, and had then toured the New Hampshire White Mountains for a few days. After enjoying the afternoon chatting out on the porch, I fixed a marvelous spicy Shrimp Fra Diavolo for dinner that we enjoyed with a couple of bottles of Edna Valley Sauvignon Blanc. It was nice to have them visit us after they had shared their hospitality with us when we flew out to Alburquerque to see them during our 07/16/11 vacation to New Mexico. Me, Sue, Master Parker, and Sheina Friday morning 09/29 just before Sue and Sheina headed off exploring and we started with our retreat. 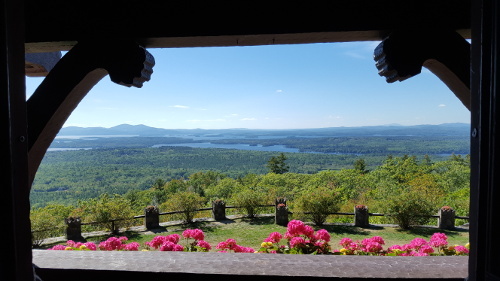 Thursday morning, Sue and I took the Parker's over to Castle In The Clouds in Moultonborough, NH. We spent a couple of hours enjoying this truly spectacular home overlooking Lake Winnipesaukee. It was such a clear day, that we could see all the way down the lake almost to Alton Bay. 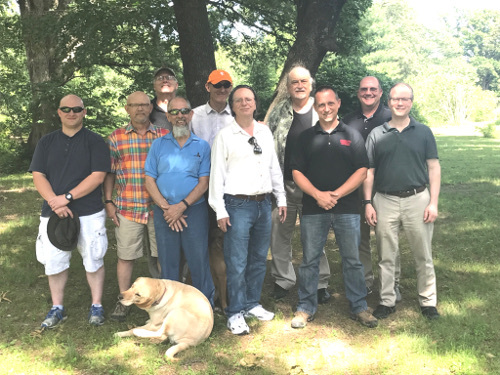 I held this year's 2017 Rose School of Karate Disciple Retreat at my home in New Durham, NH from Thursday 09/28/17 through 10/01/17. 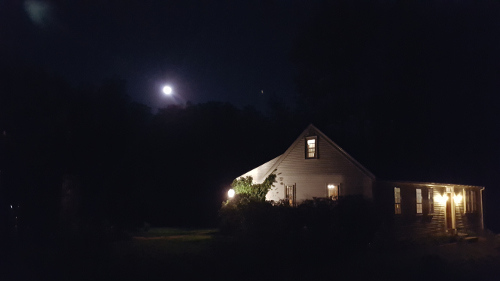 I thought I'd post just a few of the pictures that Sue took of the house and the full moon 10/05/17. 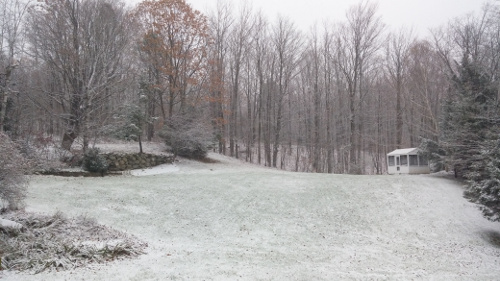 Despite the rain and chillyness, it was a really typical Fall weekend in New England. The leaves here in the Lakes Region are now really starting to transition into their Fall colors. It's just beautiful! To celebrate, Saturday night we watched one of my favorite movies, the 1981 Henry Fonda masterpiece, On Golden Pond. I don't know how many times Sue has watched it, but I've made it an annual Fall tradition almost since the movie came out. Sunday downpours and fairly brisk winds continued into the late afternoon. The sun broke through the clouds from time to time, but the weather was predicted to continue with even more storms for Columbus Day. And it poured most of Monday. Sue and I took a brief drive to check out foliage changes along some of the back roads on our way to pick up some things at the store she needed for the week. 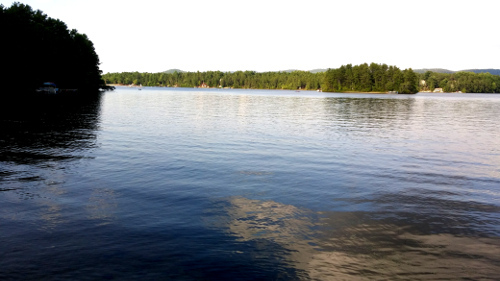 I arrived here in New Hampshire in 1972 to start graduate school in physics at UNH, the University of New Hampshire. My path soon changed, however, and I moved from Durham, NH to Portsmouth, NH. But, short as my time at UNH was, I never lost my fondness for Durham or for the campus. Each Fall since 1973 in either October or November I always went back and did what I called my "Annual UNH Fall Walkabout". I'd park my car at one end of the University or the other and walk the student pathways around campus, circiling back from the far end to where I had started. 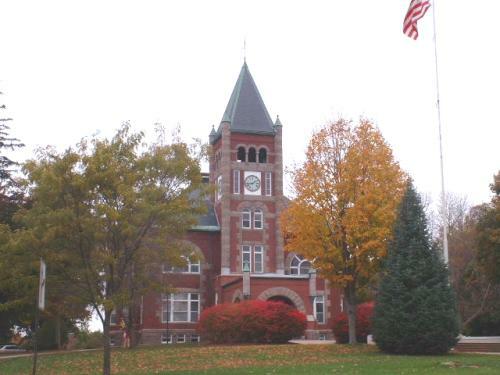 Though starting this website back in 1999, I didn't actually start logging my walkabouts until 10/23/04 where I took the following "picture of my favorite spot" on campus on a spectacular October 23rd Fall day. "2004 picture of my favorite spot"
And I took that same "picture of my favorite spot" every Fall after that until this Fall, the Fall of 2017. In January of 2017, we purchased our home on the mountain in New Durham, NH, restored and renovated it, and moved in full time in March. And since this starts a whole new chapter in my life away from the Seacoast area, just as 2004 started a different chapter in my life, I think it's now time to let my "Annual UNH Fall Walkabout" just become a wonderful memory chronicled every year in this web site from 2004 through 2016, 12 years. "2016 picture of my favorite spot"
Everyone started arriving at 2:00 pm! First to arrive were Sue's kids, Lucas and Jill, quickly followed by Robin and her husband Eric. Colin and Ren were next. As everyone was chatting away in the kitchen, Sue and Robin headed up the hill to the screen porch to discuss the ceremony. Then, Marissa, Gary, and little Mia arrived with Sue's brother Alan and his wife Joann not far behind them. Robin's ceremony was so touching and interwove the readings that we had selected so seamlessly into her own presentation. The service took about 40 minutes, and consisted of several major sections of thought, after which we all enjoyed some nice warm cream squash soup that Sue had made, chili, some cheeses and snacks that Lucas and Jill had so kindly brought, and bottled water and tea. Sue's long time friend Gale came over mid afternoon 10/14/17 to spend a few days at the house. She's going to take care of the-Beau-dog while Sue and I go on a Fall Foliage vacation in Jackson, NH. And then around 4:30, our friends, and another long time friend, Jen and her fiancee Butch joined us for a celebration dinner of spicy basil shrimp over a bed of herbed couscous with a side of steamed cardamon spiced broccoli. 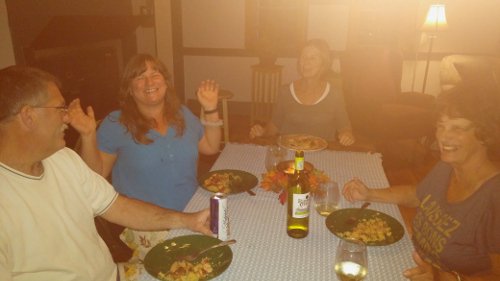 It was a great Autumn evening sharing our time, a wonderful dinner, and some nice wine with our friends. Not sure about the message the girls were trying to convey from the below pictures.... Maybe something like, "Hear no evil, see no evil, speak no evil?" Or, maybe just too much fun! 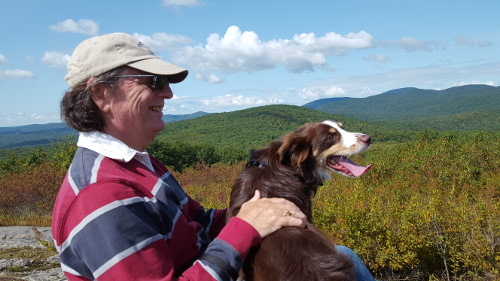 Because Sue grew up in the White Mountains and I've been going there for over 40 years, we had no agenda of time, where we'd go, or what we'd do. Basically, it was to drive around an enjoy the beauty that Nature displays during this spectacular time of year here in New England. Monday morning we headed off early for a long drive. First, we stopped off at the Glen Ellis Falls area and hiked back into the woods to see the falls. Then we drove up to Gorham, over to Jefferson, and up to Lancaster. What spectacular views of the mountains and foliage! And so many old but picturesque farm houses and barns created such a tremendous foreground to the pastoral landscape of the associated working farms. Just really great to experience. From Lancaster, we took Route 135 all the way down into Littleton where we stopped, walked around, and had a bite to eat for lunch. We picked up Route 302 out of Littleton and took that all the way back to the hotel. After playing some backgammon and sipping hot apple cider in one of the rooms off of the lobby, we had another great dinner. Tuesday we came back home by going 113 to 25 and over 171 and 109a down to 28 which took us right into the Alton traffic circle. Such a good time! 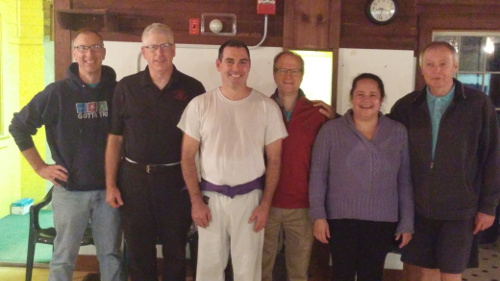 My congratulations to Tom Toye of the Rose School of Karate, New Durham, NH for successfully demonstrating the skills necessary for promotion to 4th Degree Purple Belt in C&S Self Defense Association. 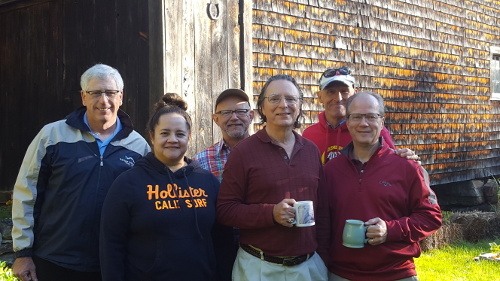 I evaluated Tom at a RSK class held Thursday 10/19/17 at Master Timothy House's Tai Chien Dojo at the Mill Pond Center in Durham, NH. From left to right: 5th Degree Green Belt Mike Palczynski of the Bear Den Karate Club Eliot, ME, 2nd Degree Black Belt Marty Richter of the Tai Chien Dojo Durham, NH, 4th Degree Purple Belt Tom Toye of the Rose School of Karate New Durham, NH, 6th Degree Black Belt Master Timothy House of the Tai Chien Dojo Durham, NH, 2nd Degree Black Belt Eleanne Solorzano of the Rose School of Karate New Durham, NH, and new student of Grandmaster Rose, Peter O'Rourke, a 2nd Degree Black Belt in Kempo Karate. Despite being extremely busy with his business interests and not being able to attend class on a regular basis, Tom has displayed the disciple to train on his own, ask questions when needed, and work hard on his art. It is for these reasons that I have approved Tom to participate in the upcoming Brown Belt Exams to be held 11/30/17 (separate announcement of this exam will be forthcoming). Tom obviously has a lot of work ahead of him to hit that target, and will need all of our help. So, let's all jump to it in our own work as well in helping Tom get ready for his goal. 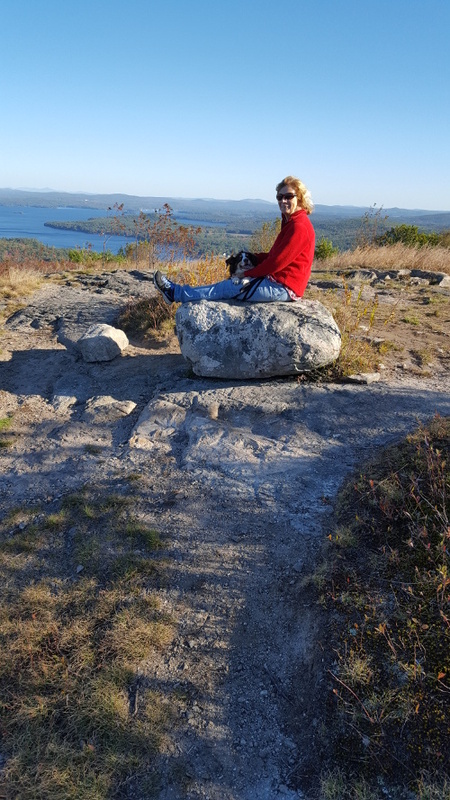 Friday morning 10/20/17 Sue and I took Beau for a walk up Pine Mountain over in Alton, NH. It was a beautiful Fall day, but as we came out of the woods at the top, there was a crisp bite to the air. But the views from up there are just spectacular! 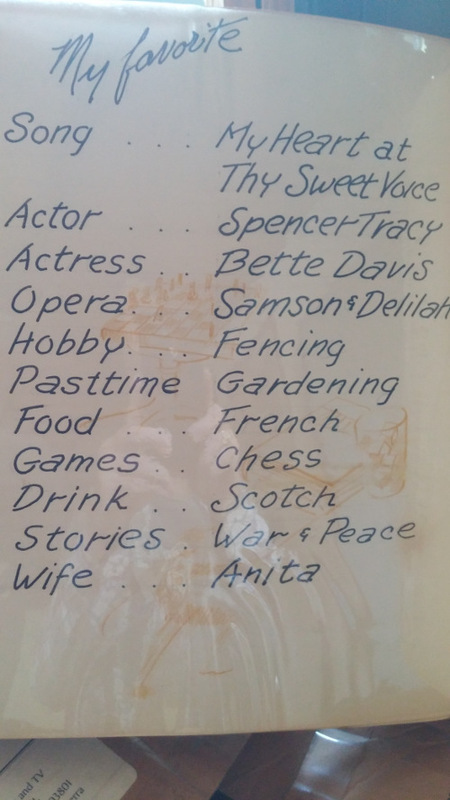 After we got back, Sue had some outside projects that she was dying to get to. 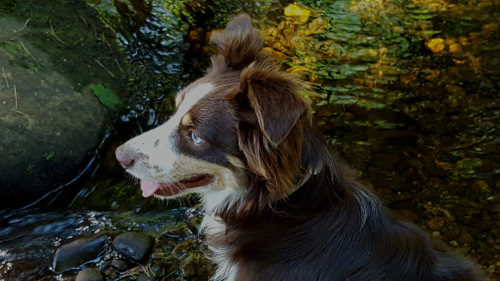 She took Beau out with her, but had to tie him up as the town road crew was digging new water swales along the side of the road opposite to us. 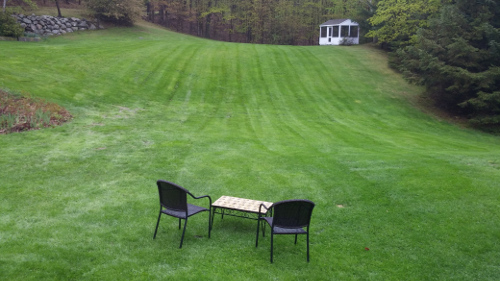 Around 9:00 pm Sue and I walked up the hill in the backyard and sat down in the chairs facing toward the house. I had dimmed all of the lights inside, and only a soft, warm glow poured gently through the windows. We sat there in the darkness of the mountain, a light breeze rustling the invisible leaves all around us. As we leaned back in the chairs, we just let the Milky Way and all of the stars splashed across the blackness of the night sky capture us in their grandeur. It's a humbling experience to know how small we are in relation to all of Nature. And yet, it's refreshing to know that we have the choice to enjoy and benefit from our environment, and that we take the time to do so, whereas so many are too occupied with themselves to notice or care. It's been a busy couple of weeks for us! And today, 10/21/17, we get to celebrate Sue's 66th birthday with my 36 year karate disciple, 6th Degree Black Belt Master Tim House and his wife Cindy, also a 1st Degree Black Belt student of mine. Before that, Lucas came by early in the day, and they drove up to Tamworth. 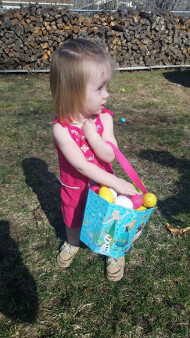 She spent the day with him, her brother Alan, her niece, and grand nieces! 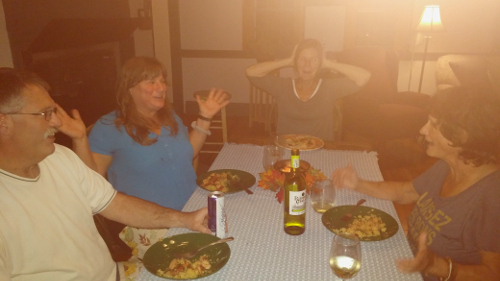 After she got back home, we drove down to Portsmouth to the House's where they popped open a special bottle of Chateauneuf du Pape that they had been saving for us, and we acted as the cheering section for Cindy during the dinner preparations. It was a great meal, shared with wonderful friends. A terrific way to celebrate not only Sue's birthday, but her 66th where she becomes fully vested for Social Security. A wonderful thing, and soooo well deserved! Well, the-Beau-dog had to go into the Alton Veterinary Clinic today, Wednesday 10/25/17 to have some dental surgery. He had 3 teeth out and some scaling work done. Because he'd been having a lot of trouble getting up after laying down, he also had a Lyme test that came back negative, full blood work tests negative, and xrays that didn't show any damage. So, he's on anti inflammatory meds for 10 days to see if that can knock things down for him. Sue and I had Steve Chorba and his wife Roxann, and Art Hamilton over for a backyard cookout. Donna wasn't able to make it because she was pretty ill, but we sent a care package for her home with Art. It turned out to be the perfect late Fall day. It was so nice out that we sat out on lawn chairs up the hill by the screen house. The sun was warm, and just the gentlest of breezes rustled through the now browning leaves on the trees around us. I fixed up a bunch of hamburgers and hotdogs on the grill which we had with some potato salad, veggie salad, and chips. And for desert there was pie Roxann had brought, and Halloween cookies that Sue had made. They were like the ones she did last year: looked like cut off fingers with the nails almond chips and some red dye 'blood'. For some reason they had baked a little flat, but they were really good. And the warmed up pie with some ice cream that Art had brought were terrific. New Hampshire was hit with the 4th most powerful and damaging storm late Sunday and through to Tuesday morning. Fortunately for us, other than a lot of branches down we only had the chimney cap blow off. We started out Sunday just fine. We drove over to Concord, NH to meet up with Sue's son Lucas and his friend Rachel for brunch. Though we had a wonderful visit with them, it was cold and rainy by the time we got back home. 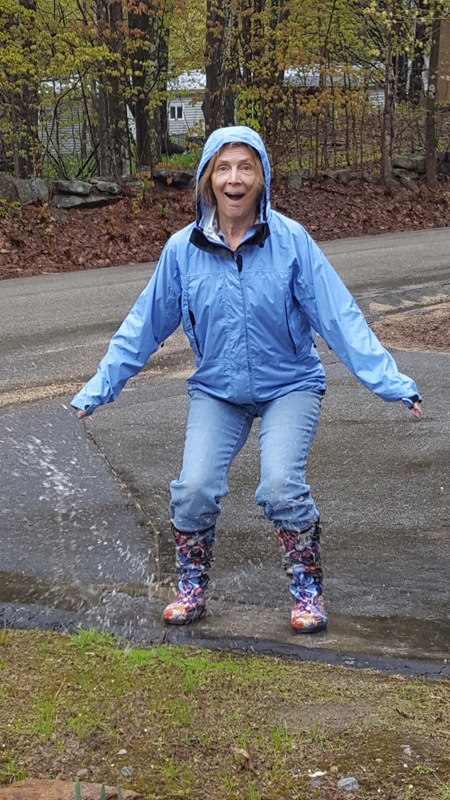 In fact, just as we drove up the final stretch of the mountain, it began to literally pour buckets. The wind probably hit 60 mph at points. Between this storm and the one that hit last week, we must have got 10 inches of rain or more. And man, did the brook fill up fast and flood the backyard. You could just hear the water surging down the rocks, even over the wind howling through the trees. Power went out Monday morning around 2:30am, and the storm just raged around us until late morning, but NHEC got it back up Tuesday morning around 6:00 am. We had the woodstove going all day Monday through to Tuesday morning to keep things warm as it was only around 38 F out at night. Fortunately, temps during the days have been in the high 50s and even in the low 60s, otherwise it could have been a whole different problem. After driving out for the very important cups of coffee Monday morning, Sue and I put our waders on, and spent an hour or so picking up all of the downed branches. After getting warmed up and a bite to eat for lunch, we parked it by the woodstove and read for most of the afternoon until the sun began to set behind the trees. It got quite chilly, too. A couple of more logs in the woodstove, and a glass of wine to go with some rowdy backgammon took us to dinner heated up on the woodstove and eaten by candle light. Lucas came over for dinner Friday evening, and to spend the night with us. Sue fixed a great meat loaf for dinner with my contribution of carrots and onions sauteed is a blend of herbs. 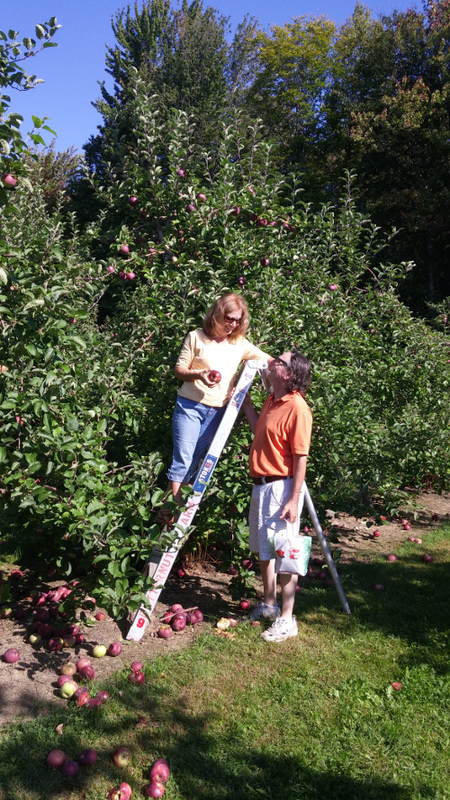 She had also made an apple pie earlier that day, and we had that warmed with a scoop of Vanilia Bean ice cream on top. We were all up early Saturday morning to take advantage of a great breakfast. Sue cooked fried eggs wrapped in rainbow swiss chard with some fresh pumpkin bread she had made Friday. A little hot coffee with it just got the day off to a super start. 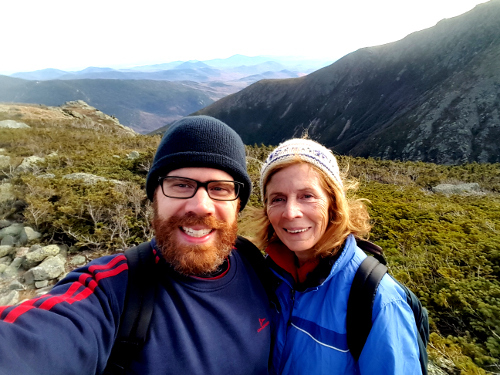 Lucas and Sue taking a selfie with Tuckerman's Ravine in the background. The picture shows them taking a break on the Lion's Head Trail just above Tuckerman's Ravine. As it was mid afternoon, the air was getting a little crisp, and they could see piles of previous snow glistening through the trees in the woods. The folks at the base lodge had said to be really careful at the higher elevations as the recent rain run-off would probably become a slick, icey coating on the rocks that would be dangerous navigating in the dark. They had already met one couple coming down where the man had slipped and they later learned that he had dislocated his shoulder. Regardless, they had a choice at that point as to hike the last 3/4 of a mile to the top, or to head back. They decided on the safe decision to turn around, particularly because, if they went to the top and even immediately turned around, they'd be doing at least the last hour or more of the walk back down in the dark. Good choice because they both said that last hour down their leg muscles burned and knees hurt. I am so incredibly proud of Sue, her zest for life, her determination to do things people half her age would have to think twice about, and just how spiritually connected to the Nature around her that she is, that, not only was this a hike with her son, but a communion with that Nature few have experienced. Back here, though, it was such a great, late Fall day. Though chilly, the sun radiated warmly off of all of the deep rust and gold colors of the leaves remaining on the trees. Being here on the mountain is such a treat this time of year. I can sit at my desk in the library and look out into the woods as the leaves transition through their Fall color medley. Around noon, I loaded Beau into the car for a little adventure. I had some things to pick up at the hardware store in Alton first, but thought I'd continue on through town to Alton Bay just to see the foliage changes around the Lake. But it was so beautiful out that Beau indicated he'd be fine taking a run in the woods. So off to Pine Mountain we went. Though the parking lot was full, everyone must have been in the town forest because we only saw a few folks on the trail as we climbed to the summit. The view from the top splayed out before us an incredible blanket of muted colors from the leaves on the surrounding mountains. We stayed on top for enough time for Beau to check things out before walking back down. I took a final gaze around and just wondered how much more majestic the view was for Sue and Lucas up on Mt. Washington. I got a call from Sue about 5:30pm that they had just got down the mountain and were on the drive back. And... they were hungry! I was requested to get some spaghetti and meatballs ready for their projected arrival of around 7:15pm. After Lucas dropped Sue off, he still had to drive back over to the Bedford, NH area. They wanted to hit the door, and get something to eat so Lucas could get going as soon as possible. 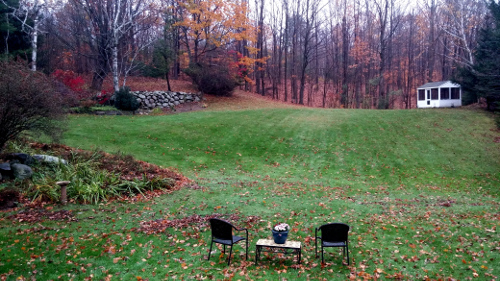 Beau and I had some Monday morning errands to run and I thought this shot of the back yard was just such a beautiful representation as to a late Fall day here in New England. When I went outside with Beau around 9:00pm, I was met with a very light, fine snow fluttering through the barn lights. Though beautiful, it does signal a significant change in seasons and weather. Temps have been in the 50s during the day, and 40s, and even into the mid 30s, at night. Sue and I headed down to Wallis Sands State Beach in Rye, NH Saturday afternoon. We were heading off to meet up with my 35 plus year karate disciple, 6th Degree Black Belt Tim House, his wife Cindy (a 1st Degree Black Belt), and their son Austion. This would be Sue's 7th year taking their family Christmas pictures. As expected, as we walked toward the beach from the parking lot, we were met with a sharp and bitterly cold wind blowing off the ocean. Despite the cold though, Austin seemed to enjoy it, and was very patient during the picture taking. Sue got this great shot of the three of them walking toward the water. Though the adults were griping about the cold after awhile, Austin seemed to thrive in it. But he got bored, and so we decided to take a few more pictures up on the rocks. We drove the short distance to a parking area overlooking the beach, but when we got out of the car, Austin insisted that no one wear heavy coats. Sue got some great pictures of them against the rocks with the surf in the background. But it was pretty brisk out therel, so we headed for the cars and for home. Tim was nice enough to take this picture of Sue and me by the rocks. What a difference a few days makes up here on the mountain. Just back on Monday 11/06/17 it was foggy when I took a similar picture of the back yard with only some of the leaves having fallen. A few days makes a big difference. But there had been fairly high winde over the last few days that had stripped almost all of the leaves from most of the trees. Also missing are the table and two chairs; time to store those away for the winter as well. 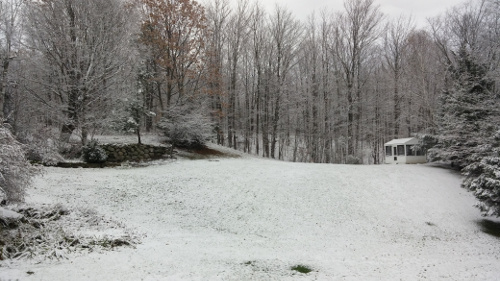 11/13/17: Quick Weather Change On The Mountain! I captured how quickly the weather can change up here on the mountain Monday morning 11/13/17. As Sue was getting ready to head out to RI to have an early Thanksgiving with her daughter, Jill, my friend Steve and his cousin Josh pulled up with a small Cat bulldozier. Beau and I helped Sue load up her stuff into the car, and as she headed out around 10:00 am we lugged a few bundles of wood in for the wood stove. Beau spent the rest of the day wandering around looking for Sue, and every time I went to let him out to do his business, he went tear-assing around looking for her. Disgusted with all of that, I poured myself a small glass of wine, parked it on the sofa, and watched the 1968 Stanley Kubrick classic, 2001: A Space Odyssey. After that finished, I warmed up dinner, some terrific leftover meatloaf, poured another glass of wine, and ate in the living room while watching another of my faovire movies, the 1990 The Hunt for Red October. Saturday was a chilly day that started out sunny, but became progressively more cloudy into the late afternoon. I went out and brought in a couple of carriers full of wood, lit a fire in the wood stove, and plopped down on the sofa with a glass of wine to watch the 2002 movie, The Bourne Identity. For dinner, I fixed up a massive taco with some leftovers from earlier in the week. It was so huge and messy that I had to eat the whole thing leaning over the kitchen sink. The-Beau-Dog watched the whole thing in total disbelief. Not that I was stuffing my face with this enormous taco, but that I got to eat before him. After cleaning up the dishes, I went back into the living room where it was so nice wtih a warn wood stove glowing across from me. I slipped the 2000 movie Boiler Room into the DVD player, and just leaned back to enjoy doing nothing. I fried up a couple of eggs for breakfast Sunday morning. I jazzed them up a little with fresh ground black pepper, some papirika, thyme, and chives, and then covered them over with a layer of baby spinnach leaves. Having those with a cup of coffee, and I was all set for the day. I spent most of the morning doing currency analysis and lugging in a few carriers full of wood in for a fire later. Sue got home around 3:45 pm, and was itching to take Beau out for a walk to stretch her legs from an almost 4 hours of driving. I tagged along to the top of the ridge to see the sun start to gradually slip toward the mountains in the distance. But the wind was blowing something fierce, so I had to throw a flag on that and suggest we head back home. Sue was all up for that as she knew I'd get the wood stove fired up. AFter I popped open a nice bottle of Chateau Ste Michelle Cabernet Sauvignon, we played about an hour of backgammon and chatted about her trip. But I had to break off around 5:00 pm to start dinner prep work. I was doing off the cuff rosemary seasoned pork chops covered with thyme and sherry sauteed mushrooms, onions, and baby spinnach. For a side, I winged it with green beans stir fried with scallions, sweet red pepper, oregano, and a dash of red pepper flakes with a final covered steaming from a few dashes of sherry. Marvelous! And great fun to share together. Big day for Sue as she put in her last day at work and goes into the retirement she so much deserves. 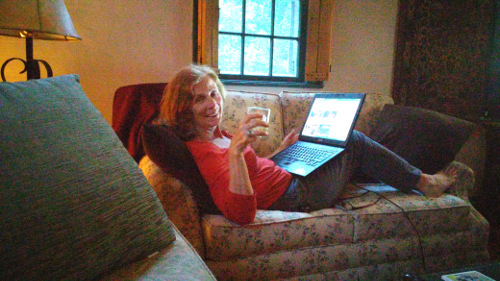 Now, it's time to just relax with her photography, arts projects, and general life up on the mountain. There are so many things she wants to do that I'll have to get a tracker device to strap onto her! Rather than go out and celebrate after work, she just wanted to come home and relax. After taking Beau for a short walk, we opened a bottle of Spanish Tempranillo and played some backgammon for awhile. After dinner, Sue had some paper work that she wanted to get done before the finals of Dancing With The Stars came on at 9:00pm, and so I finished up with a small project I was working on as well. 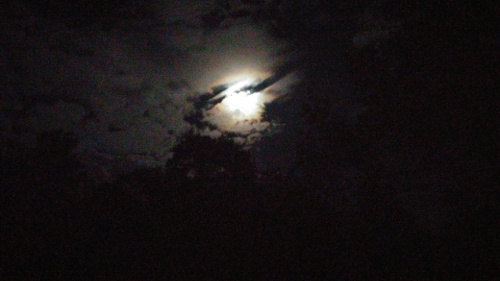 As we were watching the show, the outside motion detector triggered the barn lights. We didn't think anything of it until this happened the third time. Sue stood up on the sofa to look out the window to see what was going on. There were 3 deer moving around in the driveway and walking out in the yard. Thanksgiving is my favorite holiday. And not only because of the gathering of loved ones and friends, but also because it provides the perfect time to reflect on how I'm enjoying life and contributing to a better world. I bounced back and forth Thanksgiving morning between the kitchen and living room so that I could catch some of the Macy's Thanksgiving Day Parade on tv - something I've always done since enjoying such times with my mom when I was growing up. Colin and Ren drove up about 2:15 and just as they were walking up to the house, Ren's mom, Nancy, drove in. Though not cold, but just brisk, everyone gravitated to the fire I had going in the woodstove. 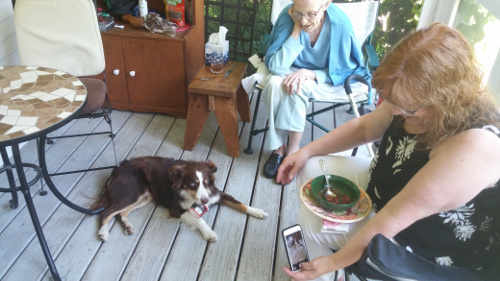 We all had such a good time visiting and just chatting over Sue's brie bites and a bottle of Erath Pinot Noir that I opened for the occasion. With dinner, I popped open a bottle of Dom Perignon Sue's friend Gale had given us as a wedding givt, and everyone thoroughly enjoyed this really special wine and special gift! We were both pretty tired from all the work, and called it an early night. We had an early morning call Friday to visit Sue's family up north, so getting some sleep was a very inviting prospect. We were up and out the door by around 8:00 am Friday morning. We stuffed Beau in the car, and headed off to Home Depot in Rochester where Sue wanted to get some poinsettias for her family and for our house. Before getting on the road from there, we stopped at Dunkin Donuts for breakfast sandwiches and the all important coffee! As we were ahead of schedule, we stopped in Ossipee at Tractor Supply to pick up some things before going to Sue's Aunt Carol's. Sue gave her a Thanksgiving plate of food she had made up, and we had a really nice visit with her for a couple of hours. From Carol's, we drove over to Sue's brother Alan's for a visit with him and Joann. Their son Derek was there as well, and we all had a nice visit for a couple of hours. Though we had come up over Route 16, we decided to take Route 28 back home through Wolfeboro and down along Lake Winnipesaukee into Alton. We really enjoy that way as it's such a pretty ride. This is such a beautiful region, even at the end of Fall when all the leaves are down and it's overcast with a sharp bite to the breeze. 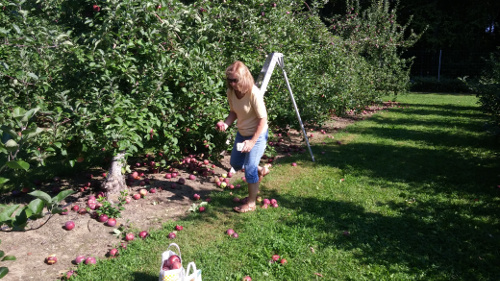 Sue and I headed off around 9:30 am for Jenness Farm in Nottingham, NH. It's just a terrific, fun place to visit, and they have some of the neatest products. Though it was spitting snow and quite crisp out with a blustery wind when we left the house, by the time we got down onto Route 202 heading west the sky had cleared, and the sun shown brightly through the spotted cloud clusters. We had a couple of stops to make on the way, one of which was some emergency coffee. 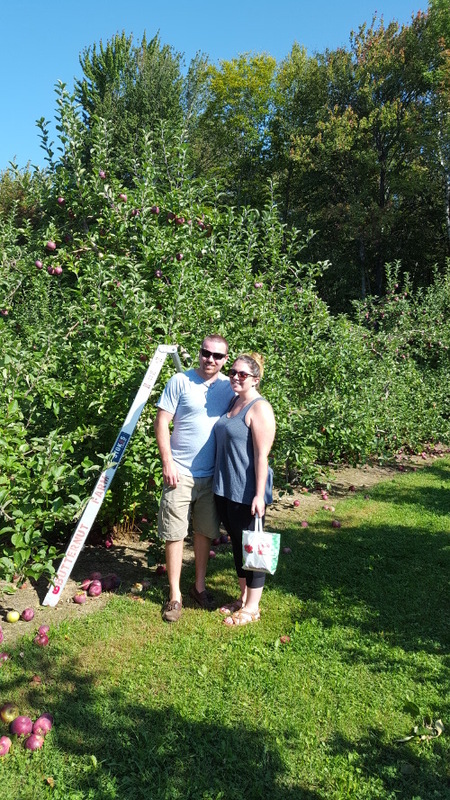 But we got to Jenness Farm before they opened at 11:00 am. That was fine because we just continued west on Route 4 to take Beau for a walk in the woods at Northwood Meadows State Park. He had a great time, even though we kept him on his leash as there were several other folks out walking their dogs as well. Peter and Beau by the water at Northwood Meadows State Park. 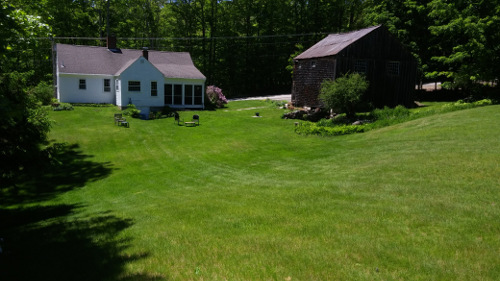 We backtracked to Jenness Farm, wandered around there for a little while, and then headed back to the Hannaford Market in Alton to do food shopping. We took Route 4 west and pealed off onto Route 107 North, picking up Route 28 into the Alton circle. What a pretty drive. We stopped for a quick burger at McDonalds before shopping. When we got home, Sue wanted me to get a fire going in the wood stove because it was still pretty chilly up on the mountain. We played some backgammon before I started cooking my mom's recipe for baked turkey tetrazini casserole. And to end off the day, a Sunday which for the first time Sue doesn't have to get up at 4:00 am for work, we watched the lovely 2010 movie, 'Eat Pray Love', based on Liz Gilbert's best-selling memoir. A wonderful day! Sue and I took advantage of the uncharacteristically nice weather to take Beau up Pine Mountain 11/29/17. 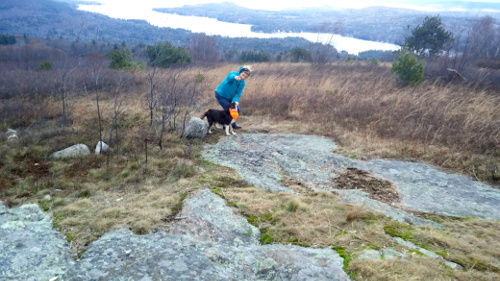 Though very windy and brisk at the top, it was, as always, a nice hike. 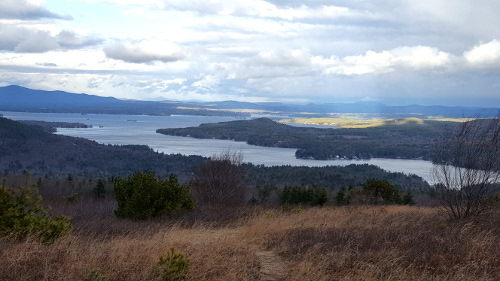 From the top of Pine Mountain looking out across Lake Winnipesaukee toward a sun drenched Wolfeboro in the distance. Sue trying to get Beau to pose for the camera. You can see them both battling the stiff breeze. 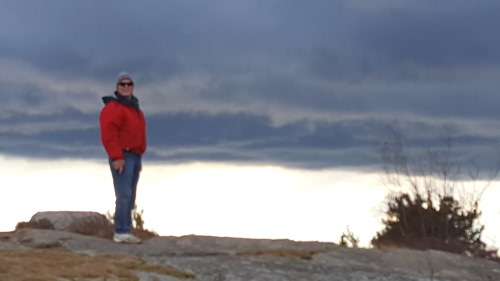 Sue got this great shot of the storm clouds sweeping across the sky. Sue sent this picture to my brother with the caption: "Peter with his head in the clouds." His response was: "...always has been." Sue and I drove over to Durham, NH Thursday evening 12/01/17 to attend a joint karate club brown belt exam. 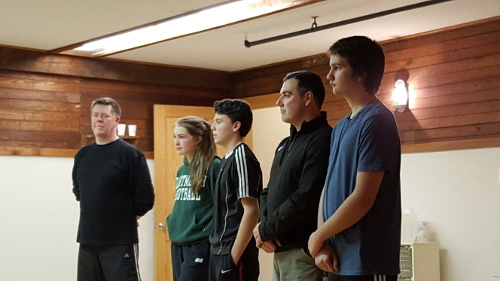 Steve and Tom were testing from my club, while Kaylee, Michael, and Luke are students of my disciple Russel Jones of the Sachem Self Defense School in Laconia, NH. It was a long and difficult exam, but everyone testing did an excellent job of demonstrating their skills. Sunday 12/03/17 Sue and I went out to get our first Christmas tree here at the house. 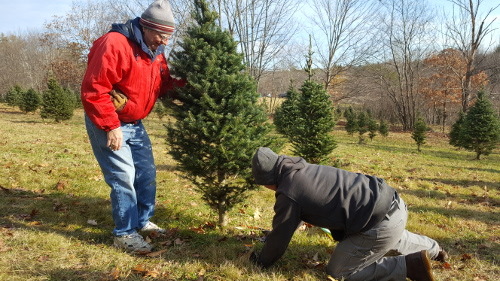 Colin and Ren came over for breakfast at 9:00 am, and then we headed off down the road to the Neva Dun Farm in Center Barnstead where Sue and I found a nice, full, small tree first. After cutting our tree down for us, Colin spotted a stand of larger trees in the field down the hill from us, cut it down, and loaded it onto their sled. Just a lot of fun! When we got home, She had already brought the plastic tub of decorations in from the barn, and so we got right to it. 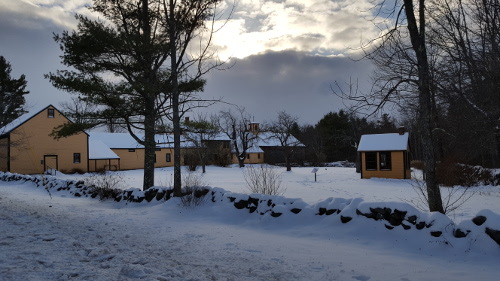 Though not a major storm with only about 3 inches of snow on Tuesday 12/12/17, it was the second storm in just a few days. What happened with this one was that after turning to a wet sleet, the temperature then dropped into the 20s and stayed really cold for days after. I spent about 2 hours blowing and shoveling snow and then hauling in a bunch of wood for the wood stove. 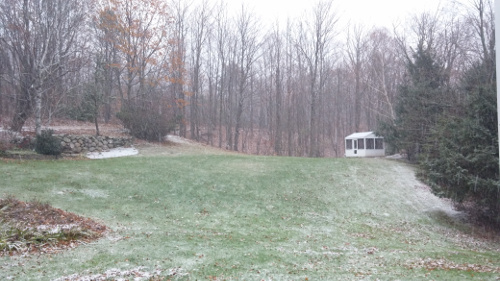 I got most of the snow up, but just as I was finishing, it turned to sleet. By the time we got up Wednesday, it was all ice. Long shot from the driveway Wednesday morning. Sue got this spectacular picture with her camera. Beau warming up after being out with me while I blew snow all over the place. 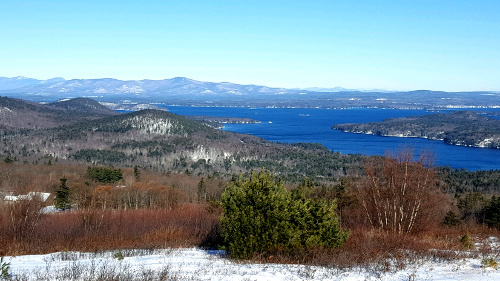 Sue took Beau up for a hike on Pine Mountain on Sunday 12/17/17 and got this spectacular picture of winter in full swing over Lake Winnipesaukee. Sue and I drove out to the NH Farm Museum in Milton, NH late Saturday morning 12/16/17. She had seen an article in one of the local papers about tours of the house, and we thought it would be a great opportunity to visit as neither of us had been there before. We're so glad that we dressed warmly because the temperature was around 15 F with a slight, but still penetrating, wind. 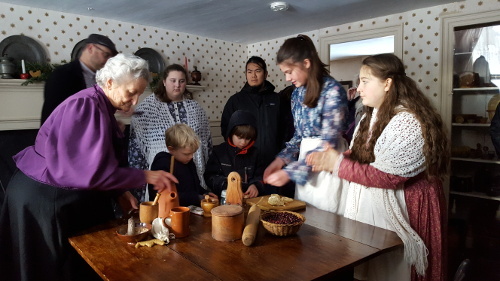 Though the tour was inside the farm house, there was about a half hour before it began that we were able to wander around in the unheated barn and the country store building that was pretty frigid. What a great place to visit. There's so much to see, and it's just a really nice experience. We both agreed that we'd have to go back again. 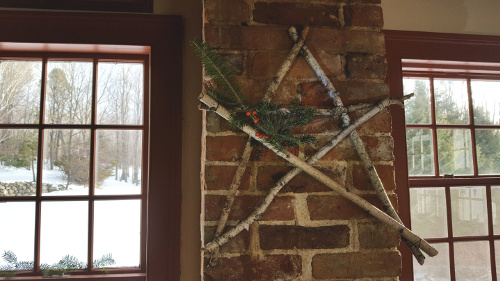 Sue grabbed some of the birch branches she had scavenged in a few of her recent walks and created the frame of a star from them. After adding a little evergreen cluster to it, we hung it on the chimney in the kitchen. 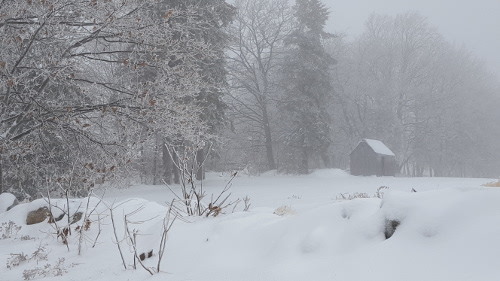 Sue and I were out for over 3 hours Friday afternoon clearing the driveway and walks of about 2 inches of snow from a storm that had begun during the night. It snowed all day and all through that night. 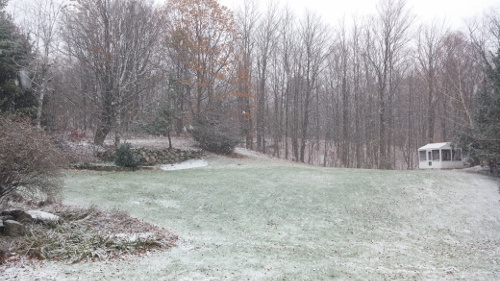 By Saturday morning, the temperature had risen into the mid 30s F and the snow turned to a hard sleet. We were both out again snow blowing and shoveling for several hours to get things cleaned up as much as possible. With temperatures predicted to dip, we didn't want thick ice to build up for our Christmas Eve gathering. 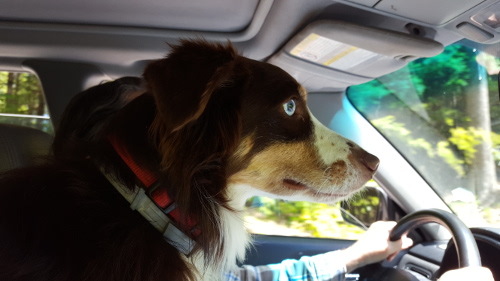 After finishing up with shoveling, and Sue hauling in more wood for the stove, we jumped in my car with Beau and headed off for some final food shopping for Christmas. The roads were pretty snowy and slushy, particularly up here on the mountain. On the way back from shopping, we were working our way up Ridge Road when Sue did one of her, "Stop—the —vehicle! Picture event!" The snow and then the light sleet had created now only a light fog over the mountain, but had coated the tree limbs with a glistening frosting of ice. 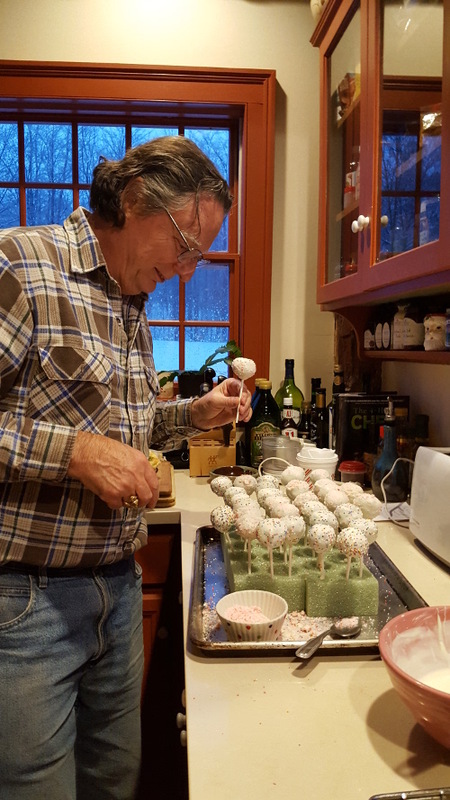 After putting the groceries away and getting a fire going in the wood stove, Sue maneuvered me into the kitchen to create a few dozen frosted cake bites. What a hoot that was! And a sticky mess! But great fun. We're now all set for our kids gathering here on Sunday 12/24 for Christmas Eve dinner. It was great to have spent the day inside because the sleet just wouldn't stop. 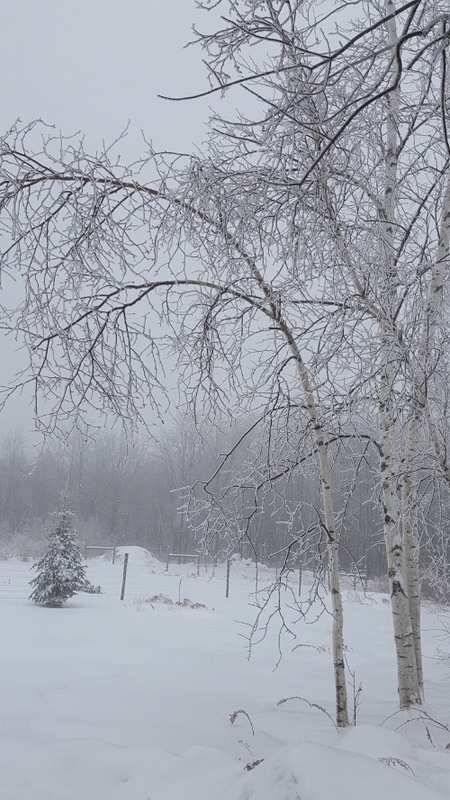 As the afternoon wore on, the temperatures began to fall, and standing on the back porch you could hear the ice on the branches creaking in the woods. We lit a fire in the wood stove, played some backgammon, and then watched another Hallmark Channel Christmas movie after dinner. We woke up Sunday 12/24/17 Christmas Eve morning to a heavy coating of ice everywhere. We lost a few tree branches in the back, and the driveway and walks were just an ice rink. 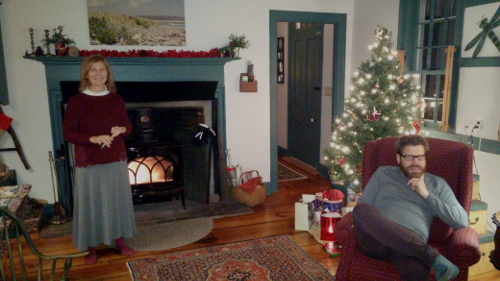 Sue and Lucas Christmas Eve with the wood stove warming our home. 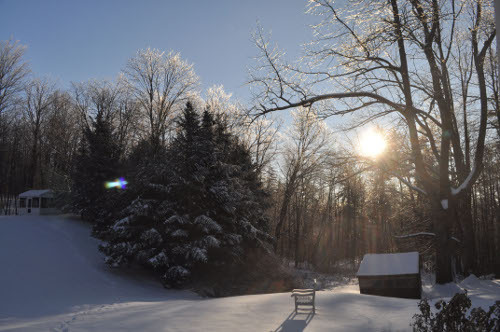 Sue wanted to go on a photography adventure as the sun was glistening off of the ice encrusted tree limbs and it was just calling out to her; "Hey, Susan! Get a move on with that camera of yours!" So, we stuffed Beau into the car and headed out. So that I could visit with everyone instead of cooking, I started my food prep work around 2:00pm. Just as I was finishing up the major part of that, both Lucas and Jill arrived. And shortly after that, Colin and Ren drove in. We got up Christmas morning to blizzard conditions and several inches of snow. After having a bite to eat and a coffee, we headed outside to clear the snow. We were going to visit Sue's aunt Carol before heading over to her brother Alan's. 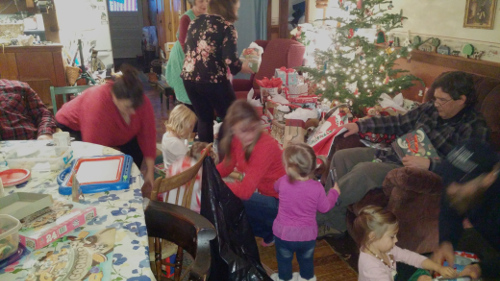 It usually takes us about 50 minutes to get to Carols, going over Route 28 up through Wolfeboro, but it took us almost 2 hours. The roads were awful, and the blizzard was fierce all the way. The roads were full of snow, sometimes over 3 inches with just slippery tracks through the snow to follow. 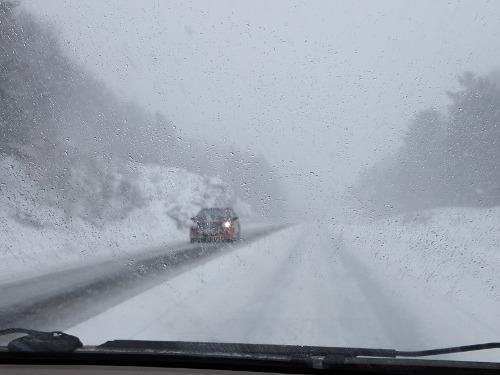 By the time Sue and I headed home, the storm had pretty much blown itself out, and the road crews had been able to completely clear the roads. After picking Beau up, we took Route 28 back home, and this time the trip was just short of an hour. What a difference! I bulldozed the car through about 4 inches of snow in the driveway when we got home, but just left it until morning as I was tired. It only took about an hour Tuesday morning to clear the snow, and then Sue took Beau out snowshoeing for awhile. Though the sun was out, it was pretty cold. 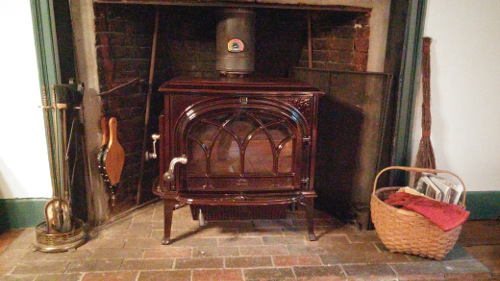 She was glad to get back to a warm wood stove. While she took care of some last minute things around the house, I went food shopping for our dinner. Lucas and Rachel were coming for dinner, though because she was coming down from New London, she wasn't going to arrive until probably 7:00 pm. Since we weren't sure of her exact arrival time, we had decided to fix a Mushroom Bolognese dish. That way, the sauce could just simmer until we were ready to eat. With the classic 1946 movie, It's A Wonderful Life running in the background, I got all of the prep work done early, and Sue made up a pear over arugula salad with balsamic fig dressing. By the time Rachel got here, we had a nice, warm fire going in the wood stove. I opened the bottle of Bordeaux that Lucas had given us Christmas Eve, and we sipped a little of that before sitting down to dinner. But it was an early night as everyone was beat. When we got up Wednesday morning, it was only 10 degrees F! Sue got the wood stove going, and then fixed fried eggs over arugula and spinach with bagels for breakfast. And coffeeeeeee! After breakfast, Rachel was off to join her brother to drive down to New York to visit relatives over the holidays. While Sue was out meeting a friend for lunch and running errands, Lucas and I held the fort down, though we were both working in different rooms. Friday morning, Lucas headed off to New York to meet up with Rachel for New Years. We will hopefully see him again before he flies back to LA. Later that morning, Sue showed me some research on cameras that she had been doing. I had told her when we got married that I wanted my gift to her to be a new camera upgrade from her current Nikon D90. She had found a new Nikon D7700 that was exactly what she had been thinking about. We scooped that up right away along with a terrific lens, and even a backpack! And to top that off, we got the order in just in time for next day delivery. 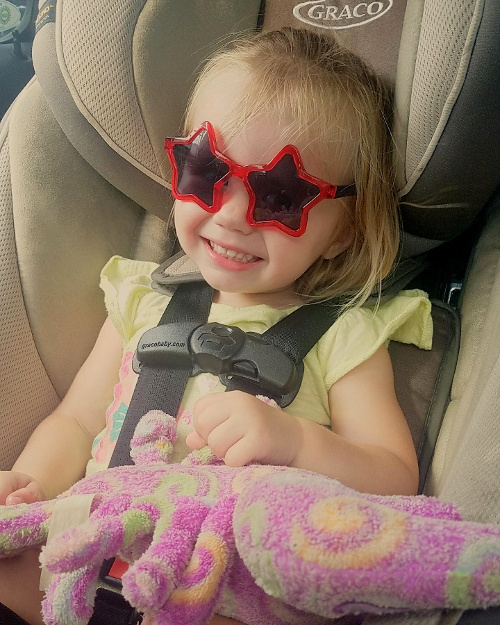 She was tough to deal with all day Saturday, biting her nails and staring out the window at every set of headlights that came down the road until the UPS truck beeped it's horn and backed into the driveway late that afternoon. Sue and I had a wonderful, but very cold, Sunday New Years Eve day and evening. With the wind chill, it was almost 20 below zero when we got up! After a detoured quick shopping trip that morphed into a picture taking adventure, when we got home I had to start dinner preparations work. Our friends Jen and Butch were coming over for an early New Year's Eve dinner as Jen had to be at work early New Year's Day.